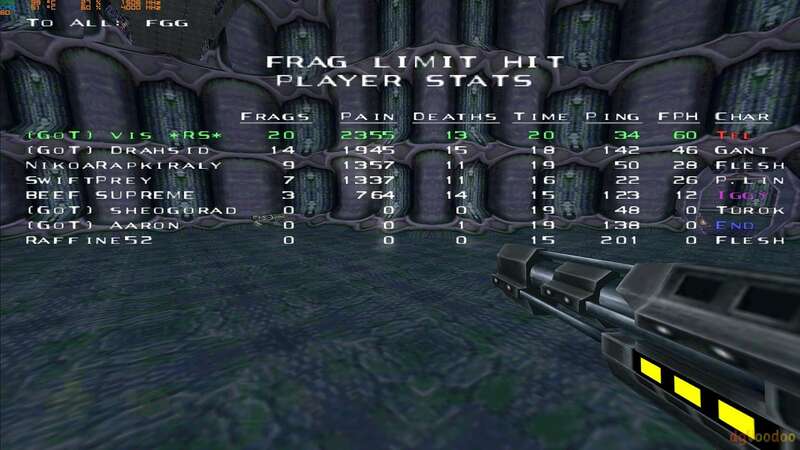 New player! 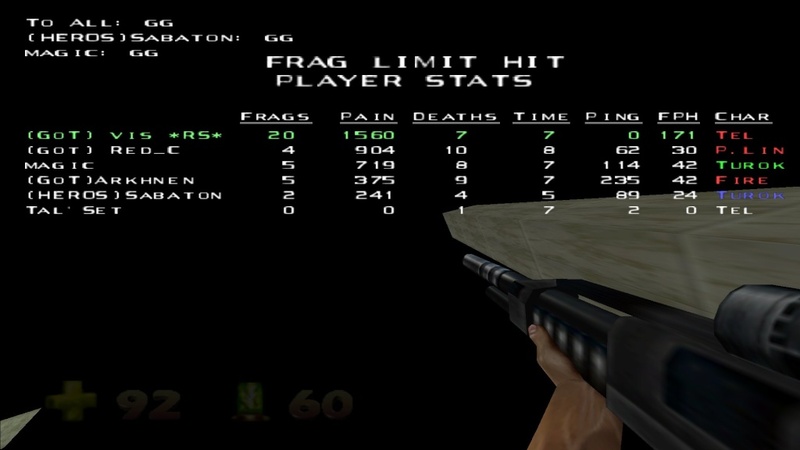 Mrjoshua too, then five more guys which I not have there, on ss's. 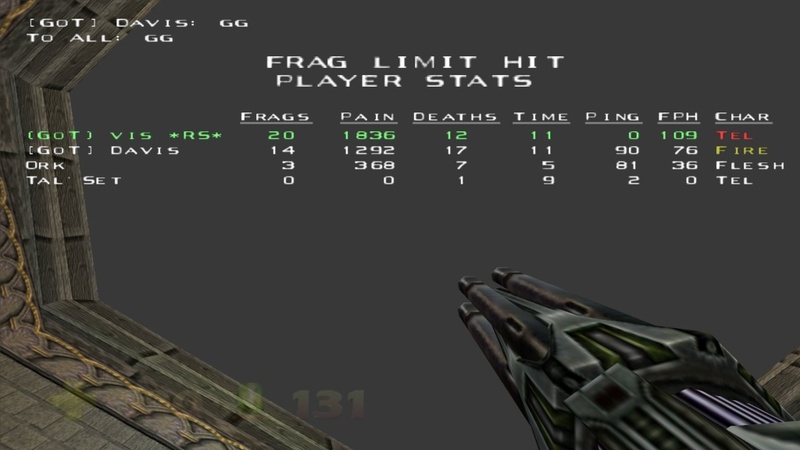 A lot of quality fun there : ) FGG's Special tnx to davy for showing up past couple days : ) Welcome back! 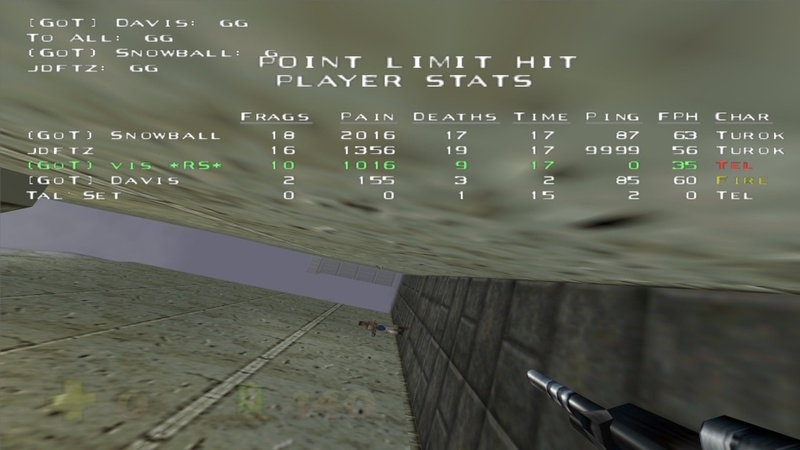 Now i want to see some of your screenshots where u are NOT on top of the point table! 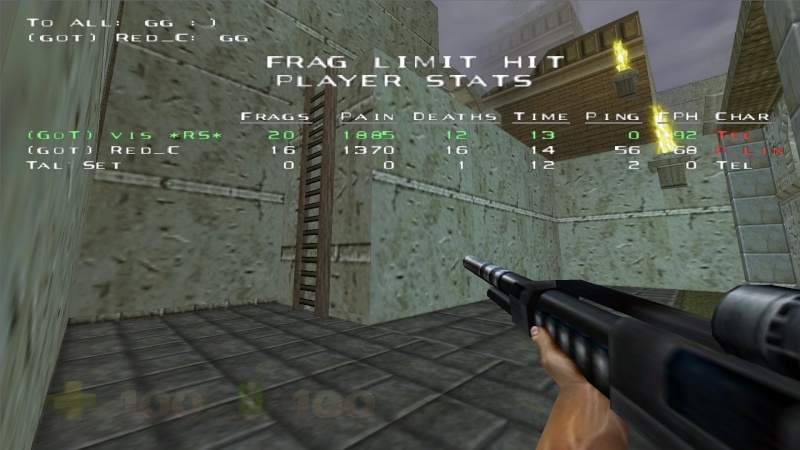 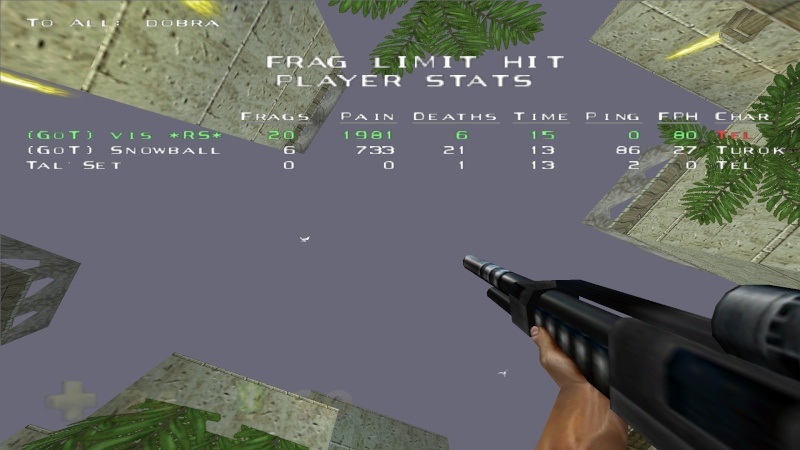 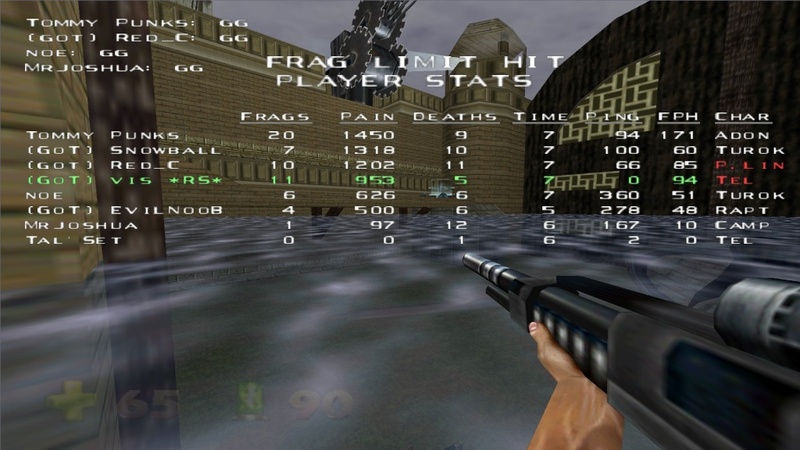 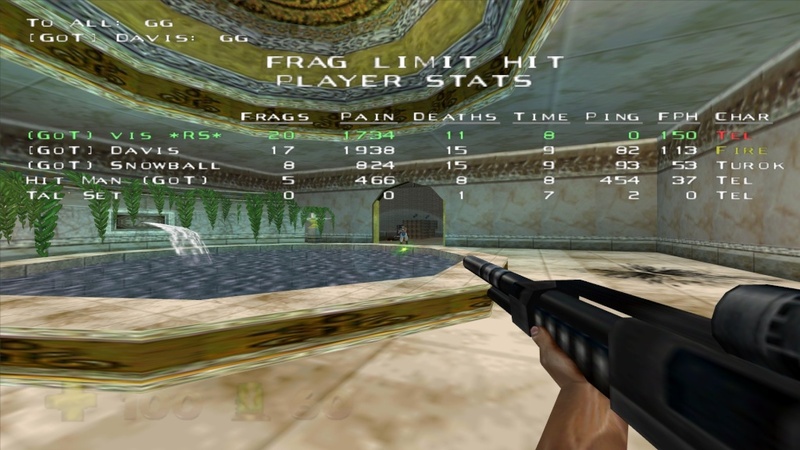 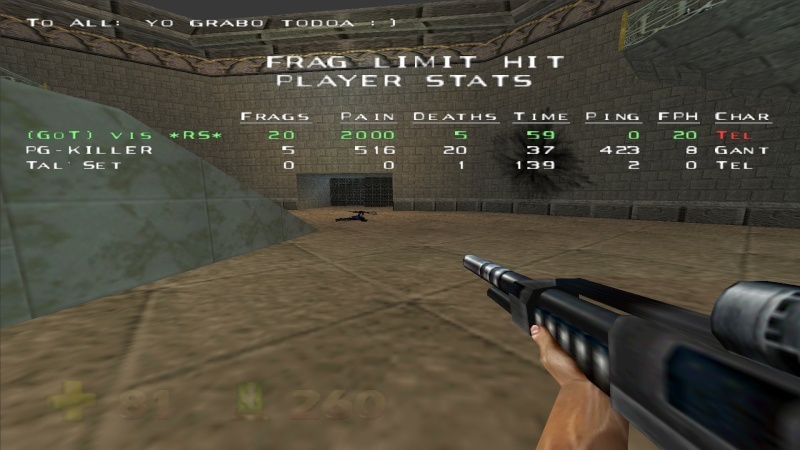 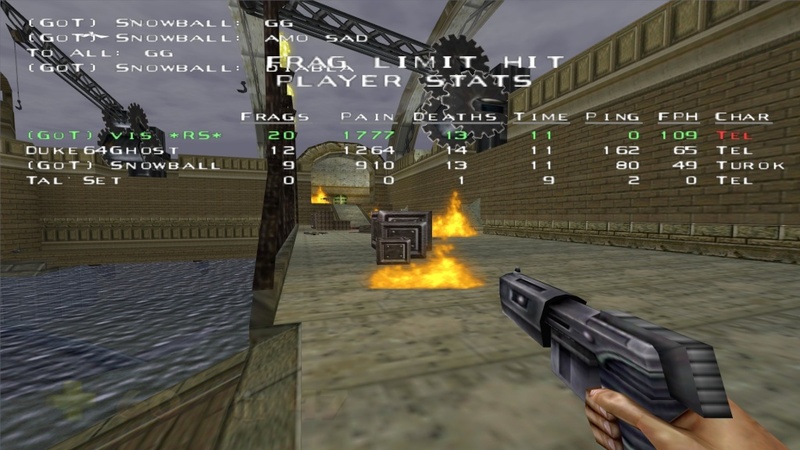 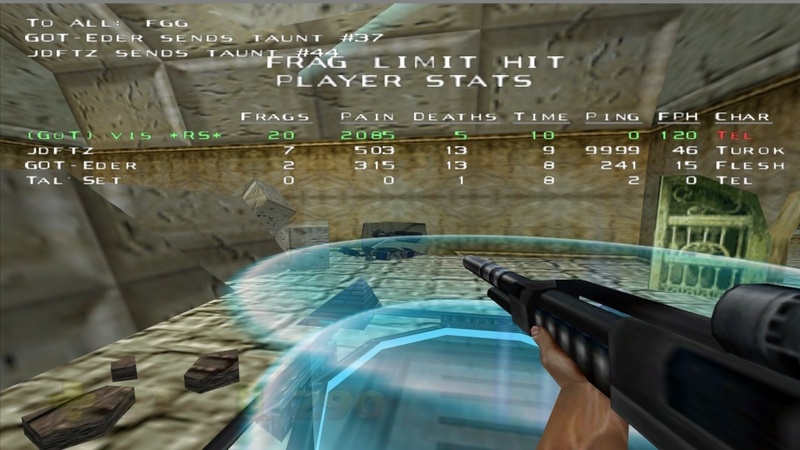 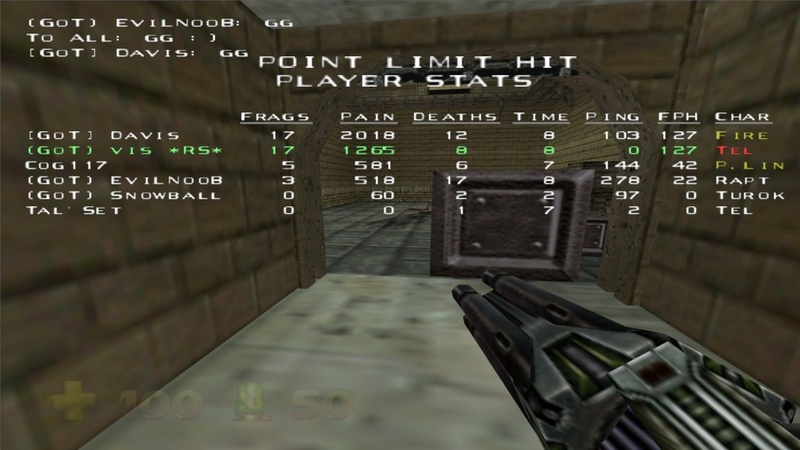 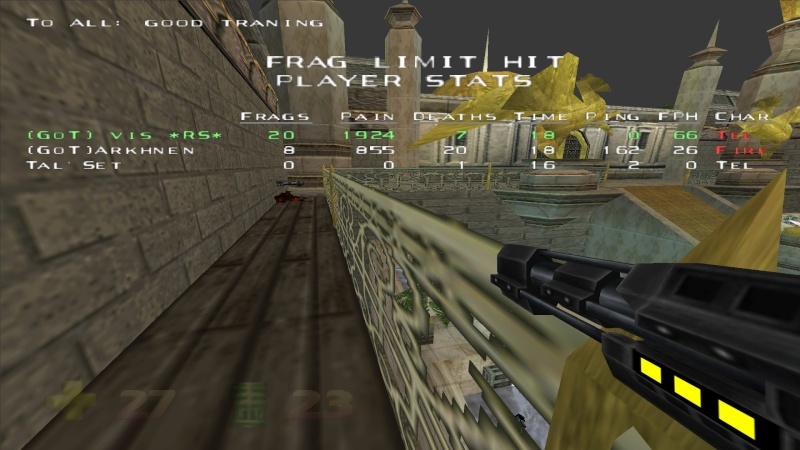 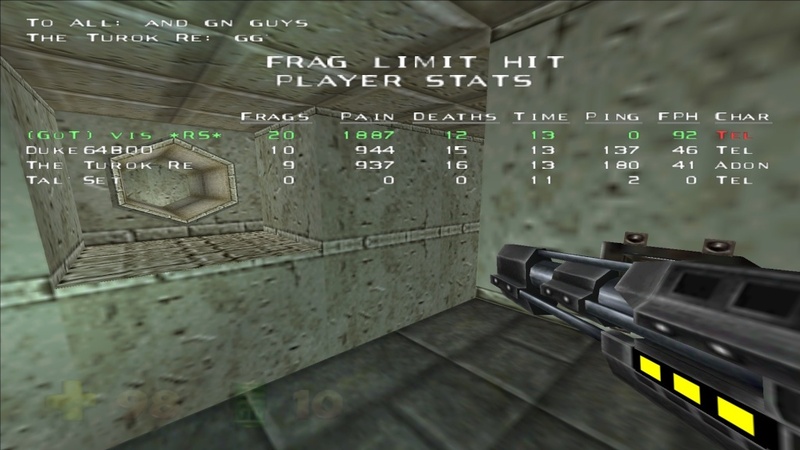 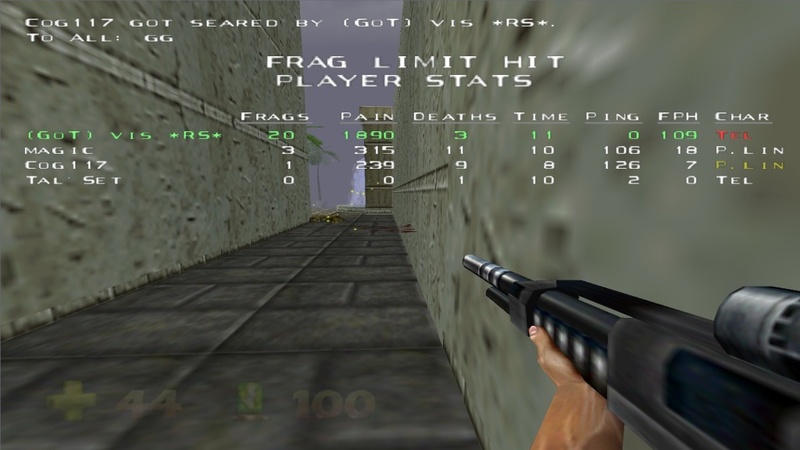 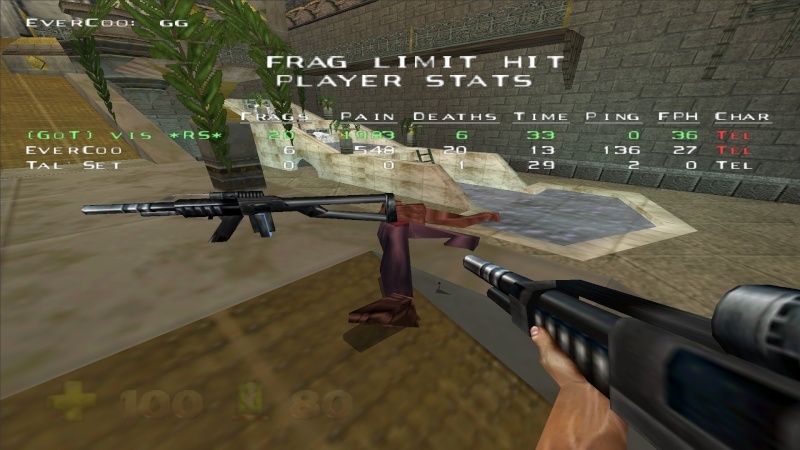 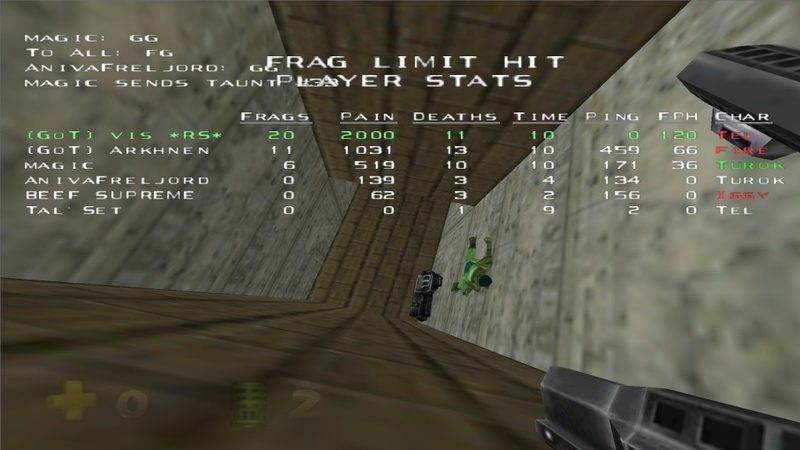 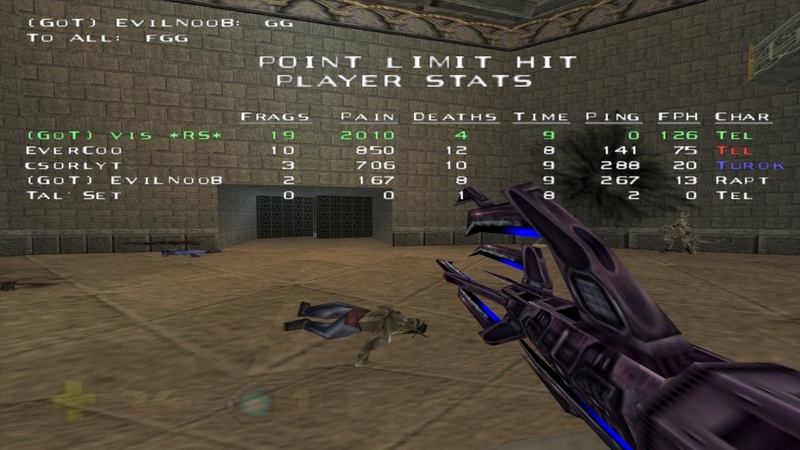 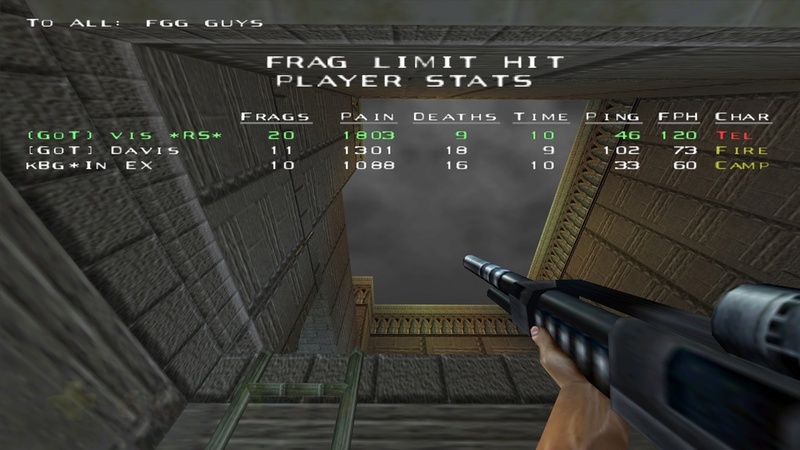 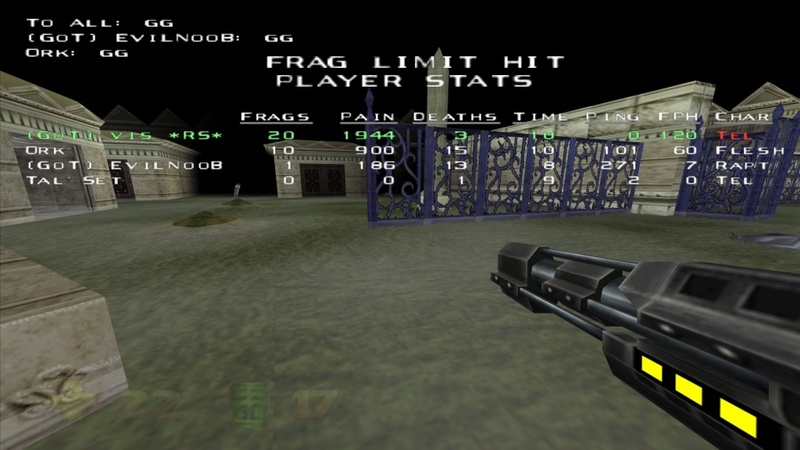 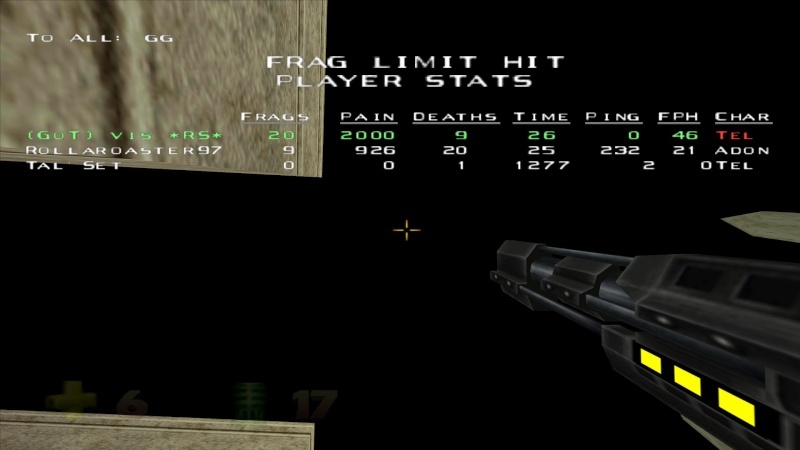 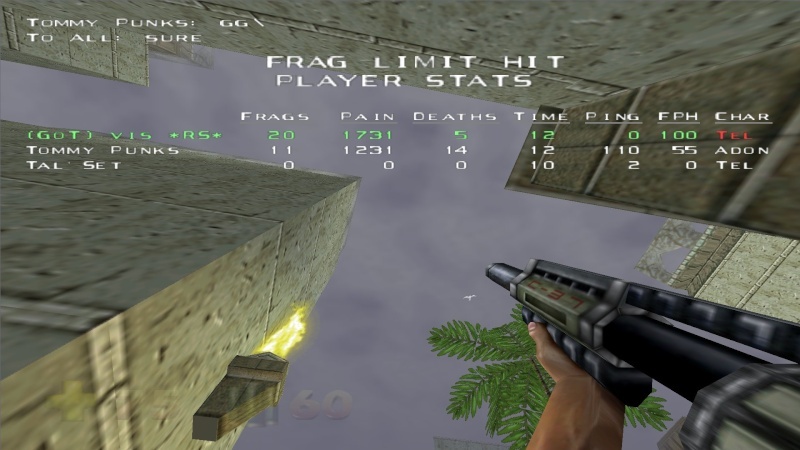 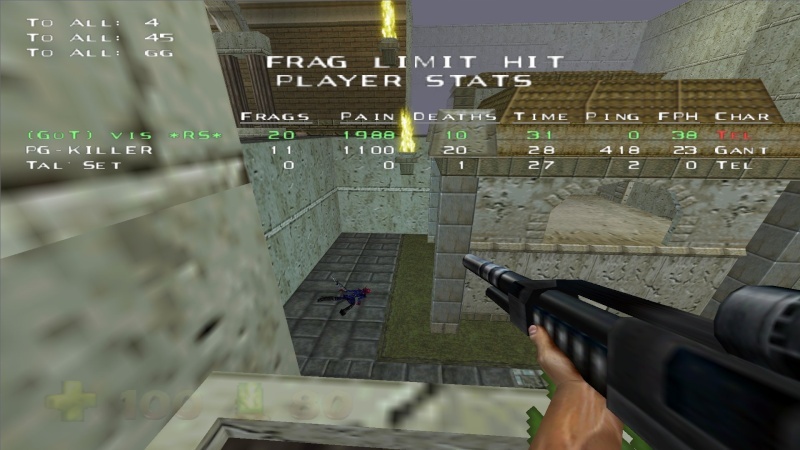 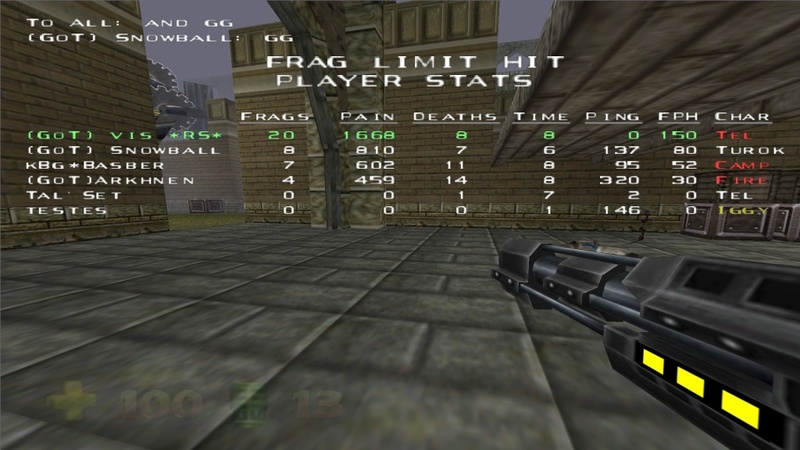 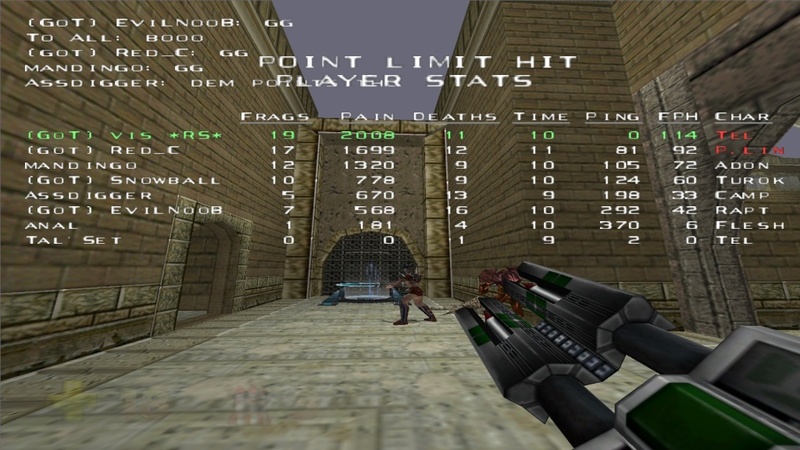 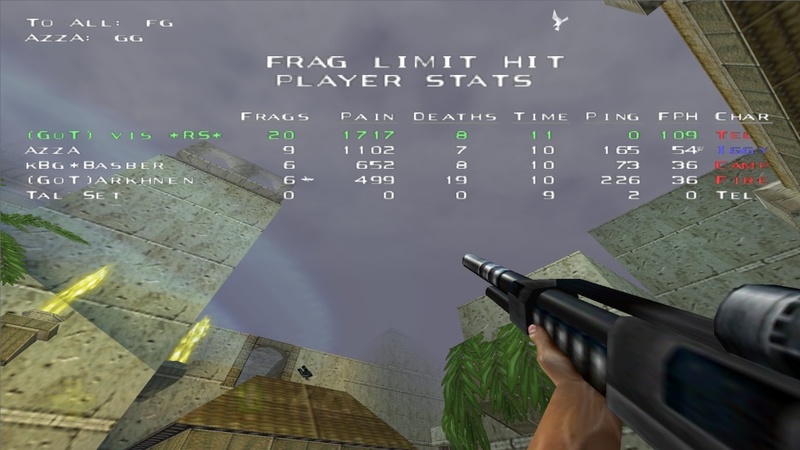 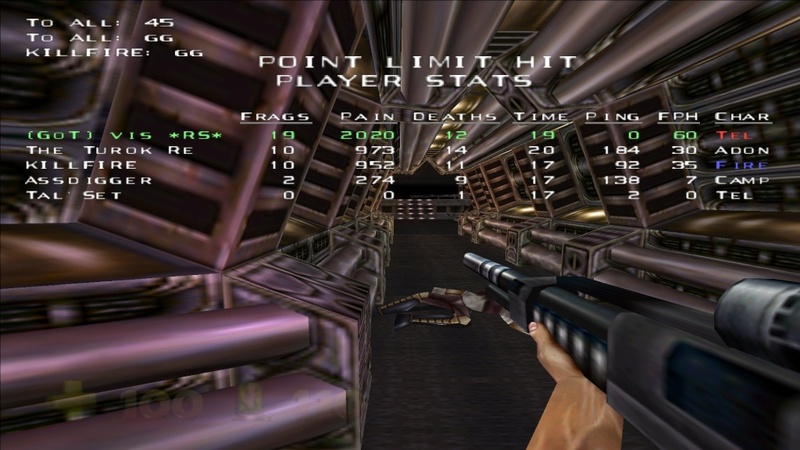 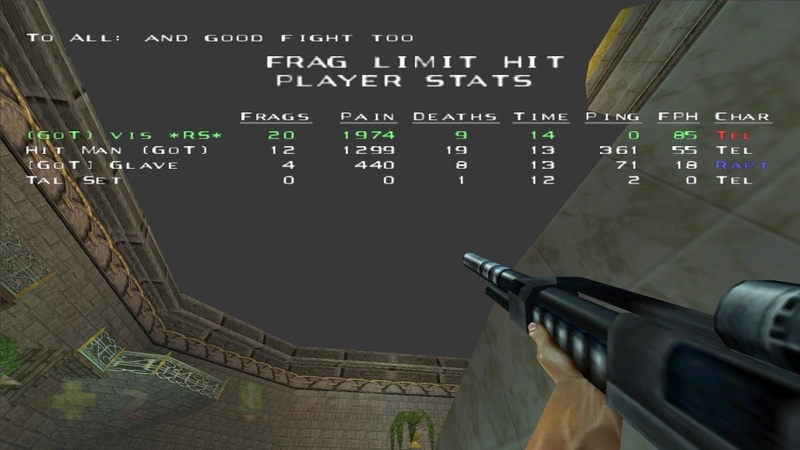 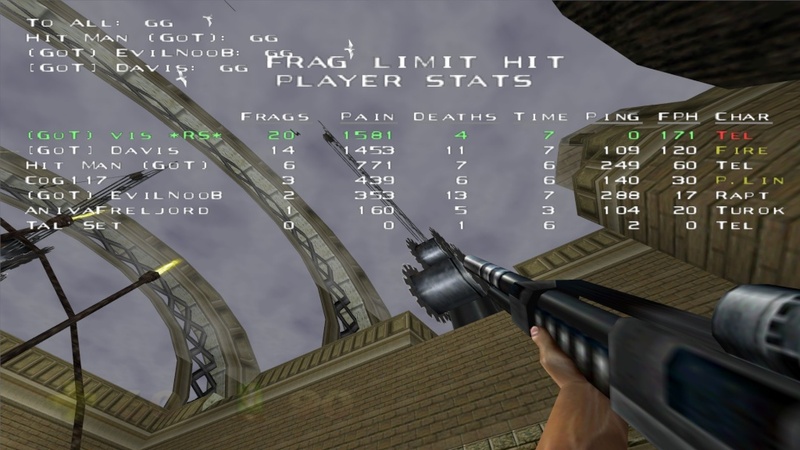 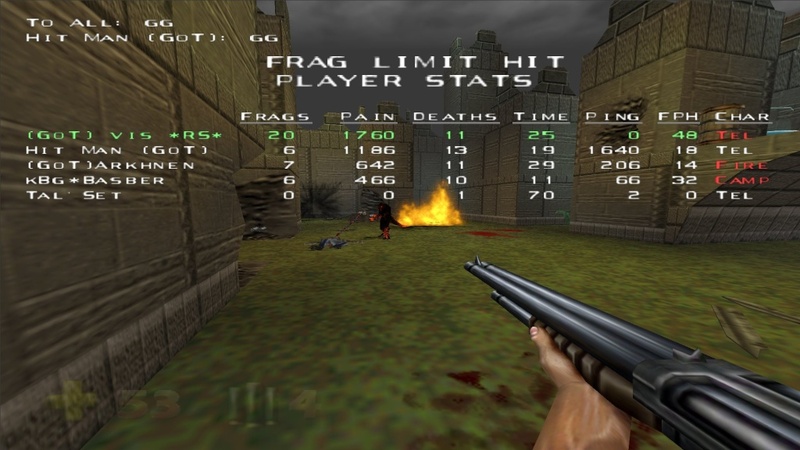 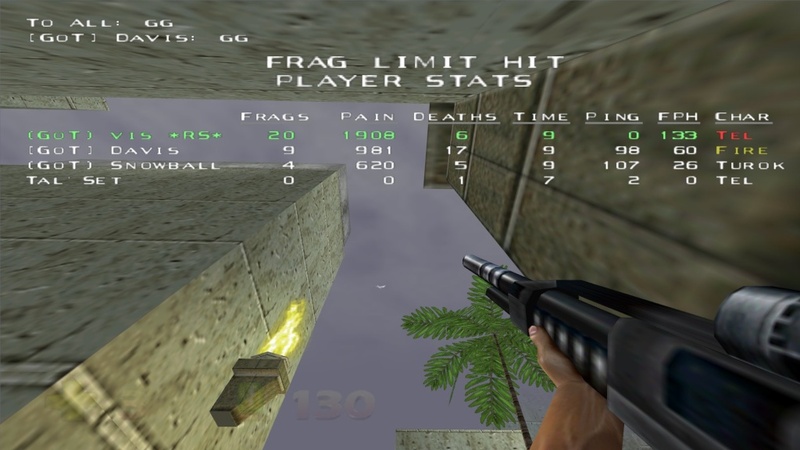 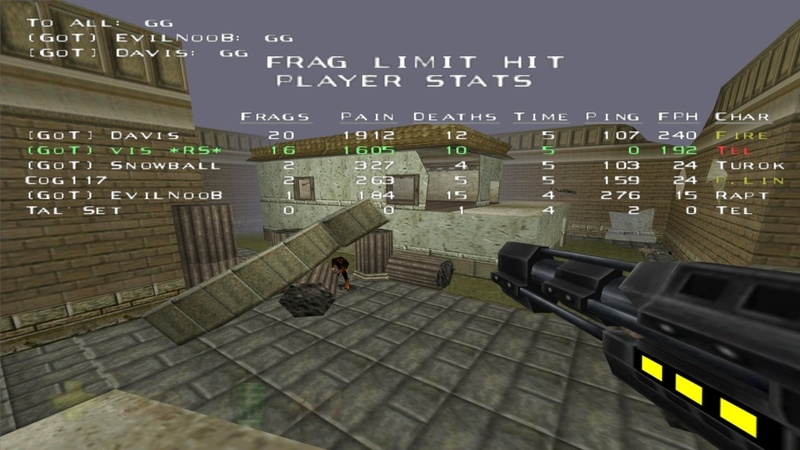 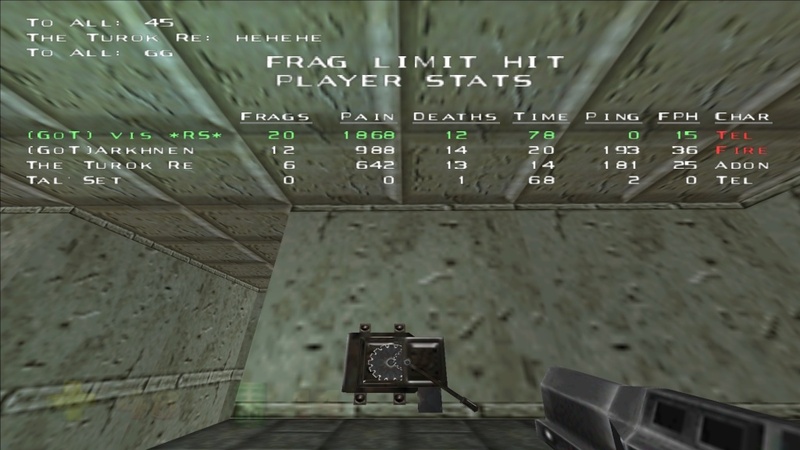 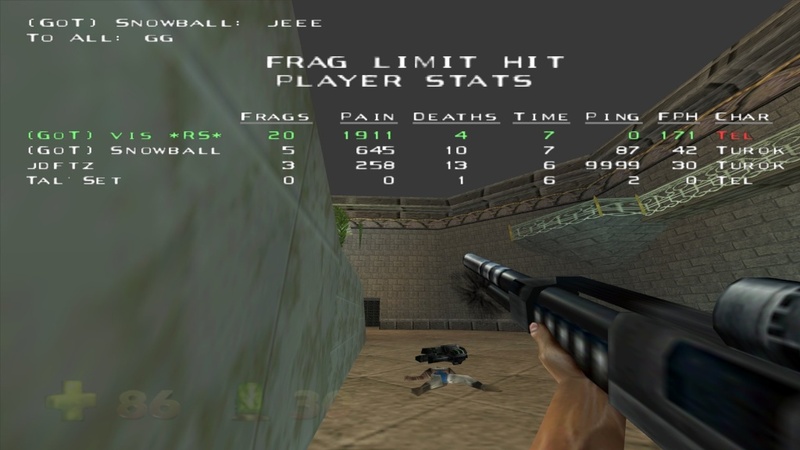 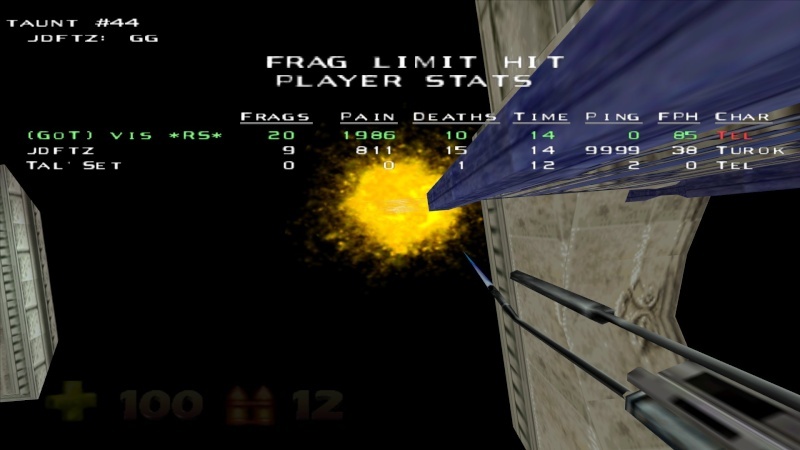 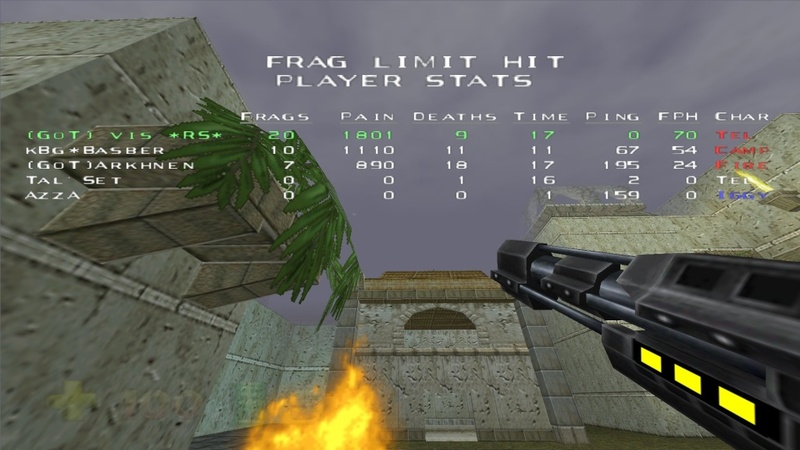 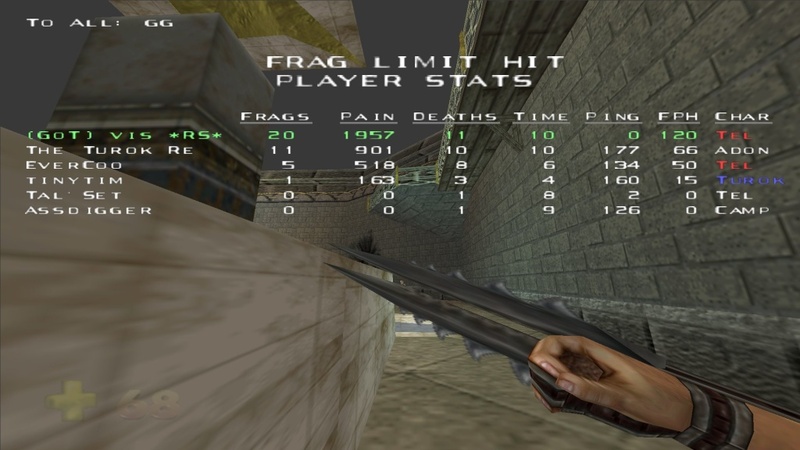 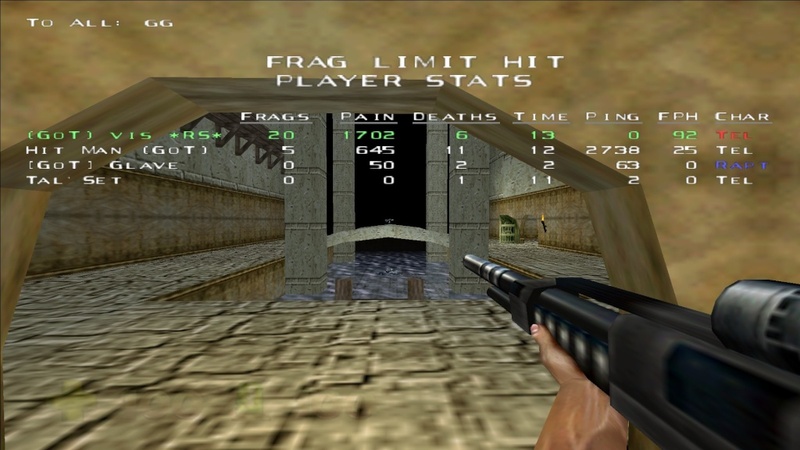 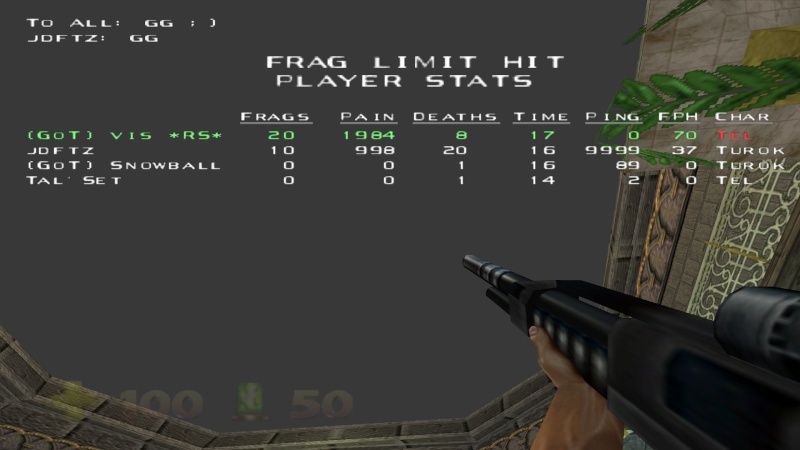 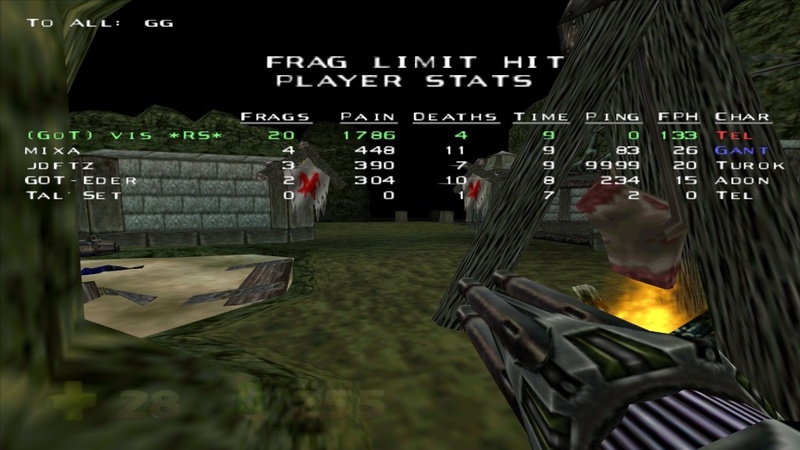 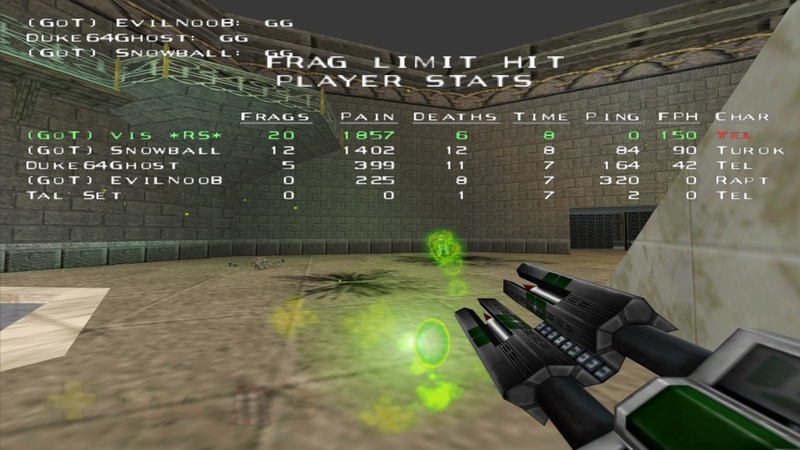 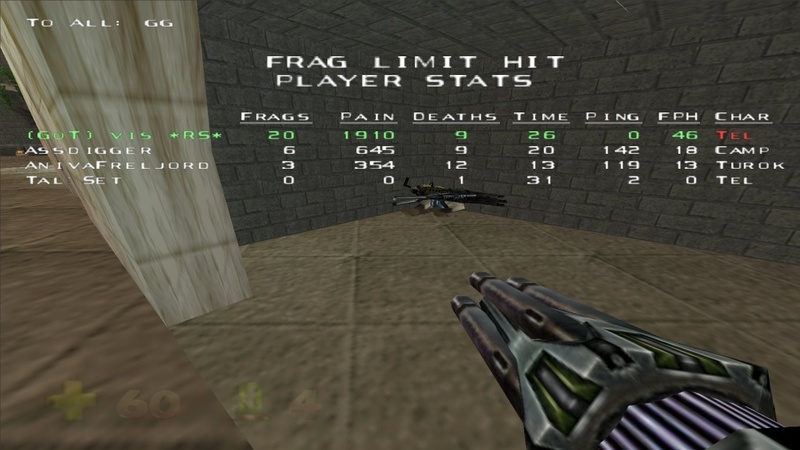 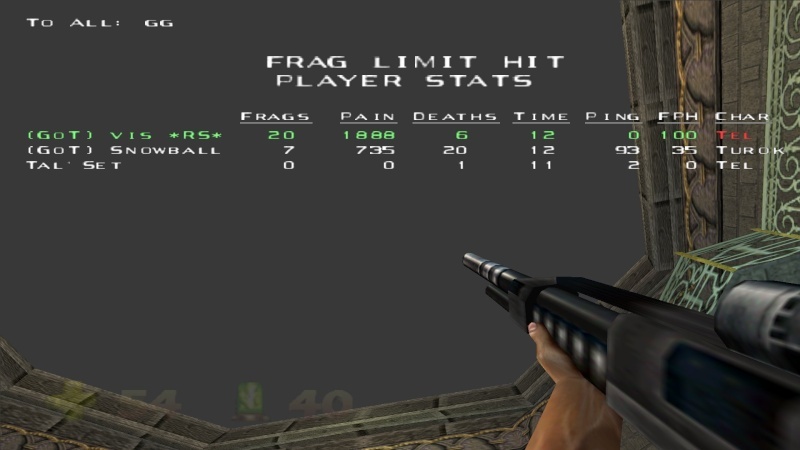 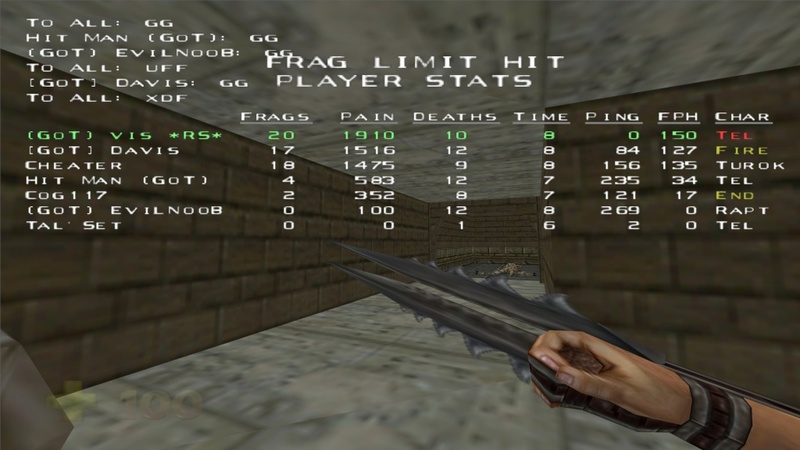 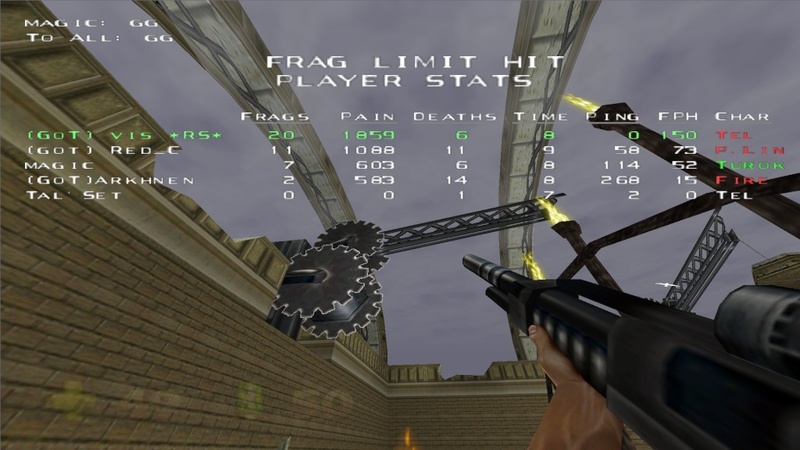 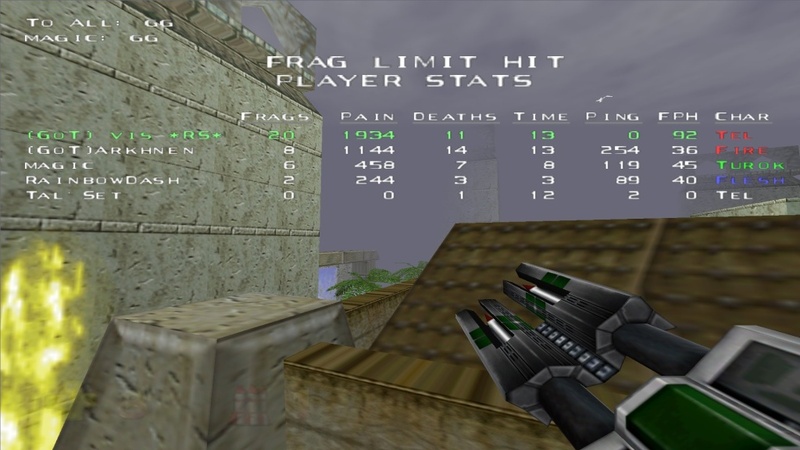 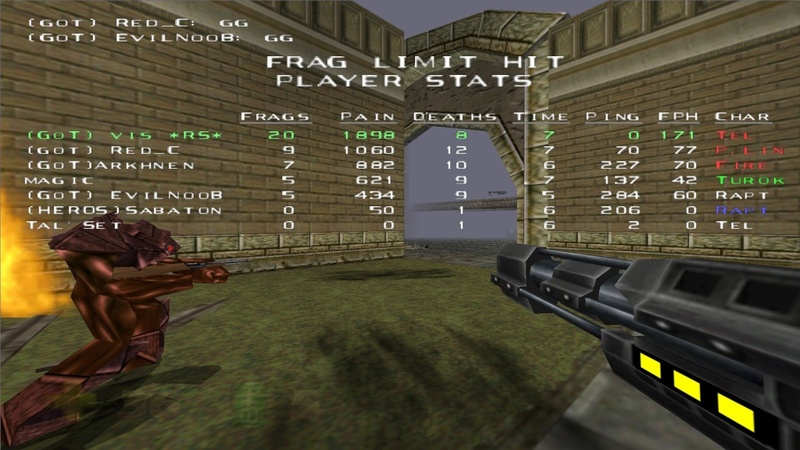 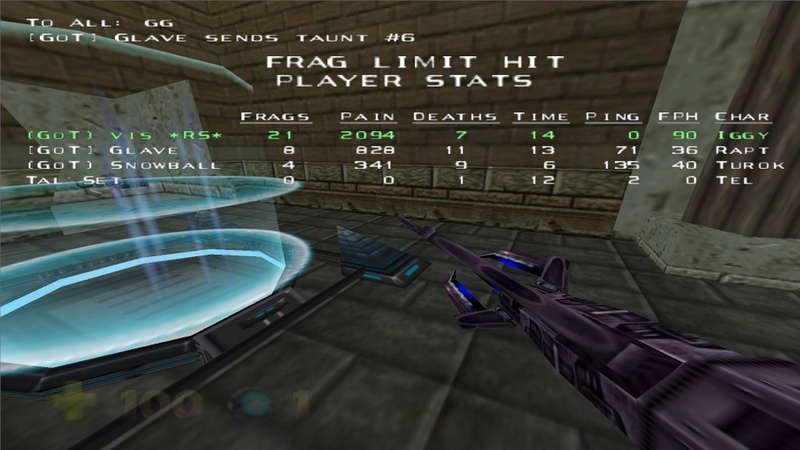 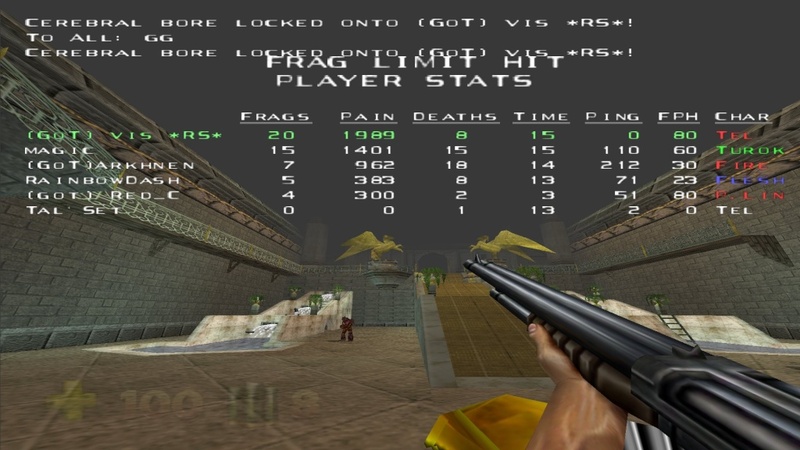 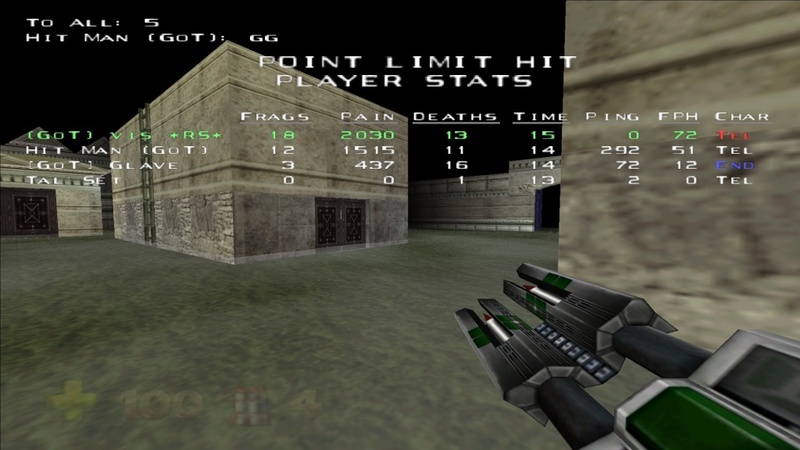 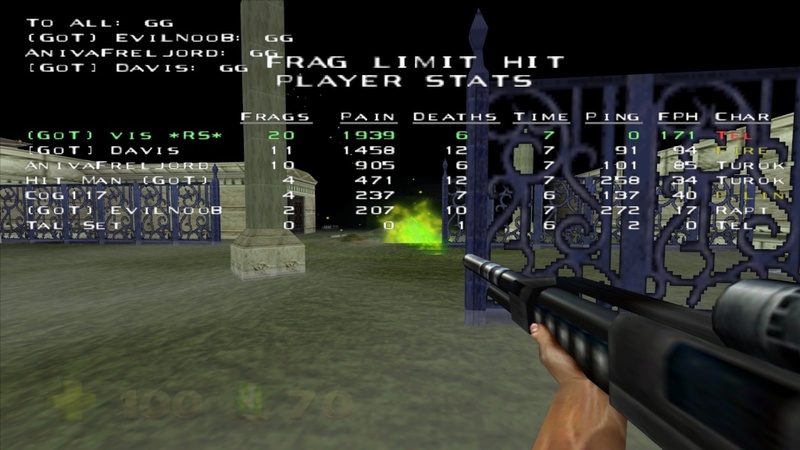 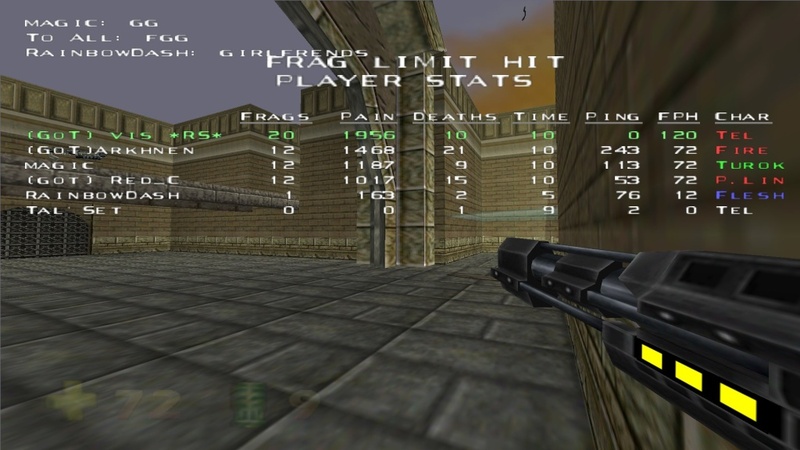 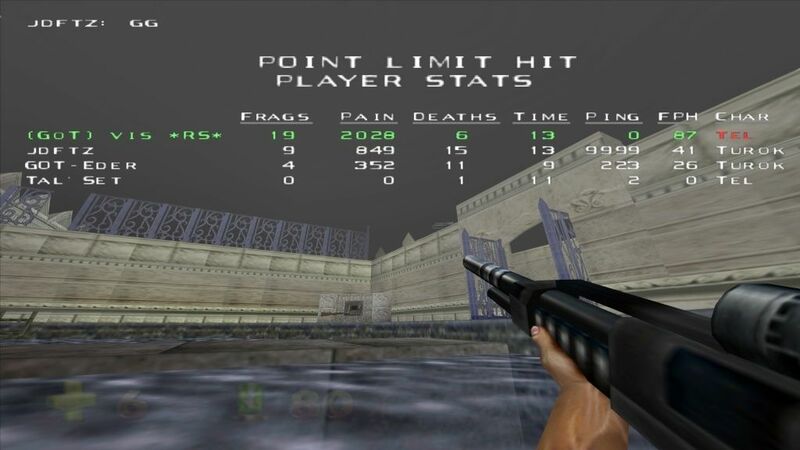 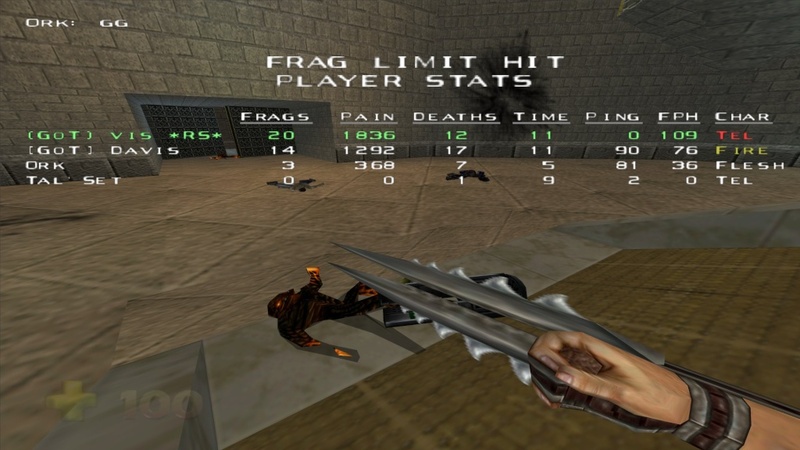 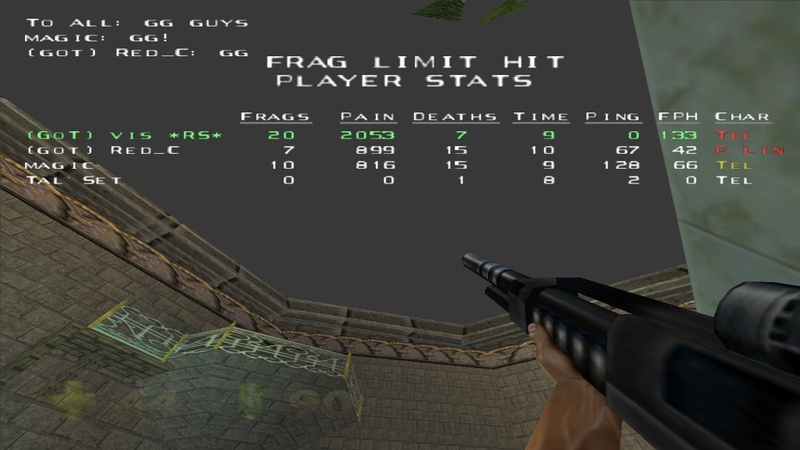 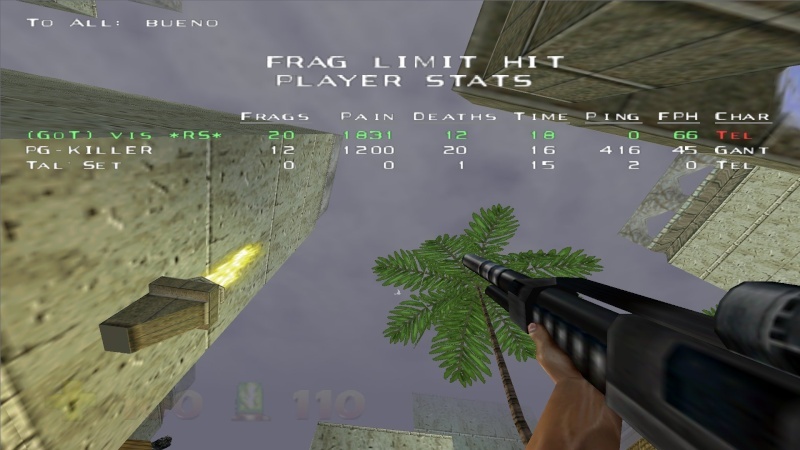 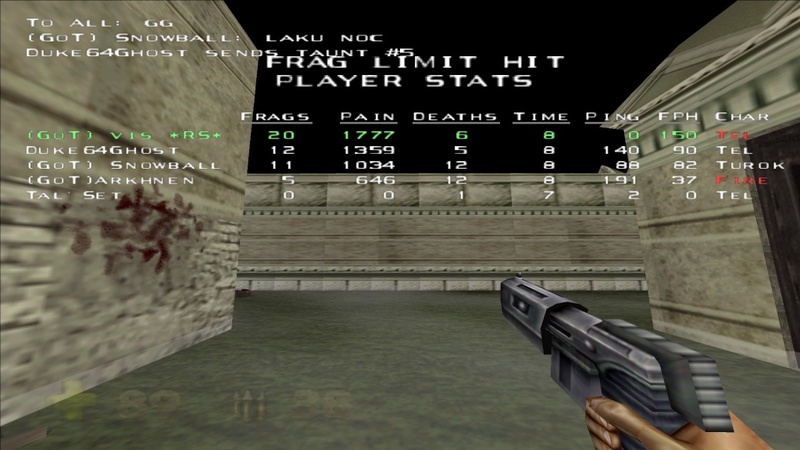 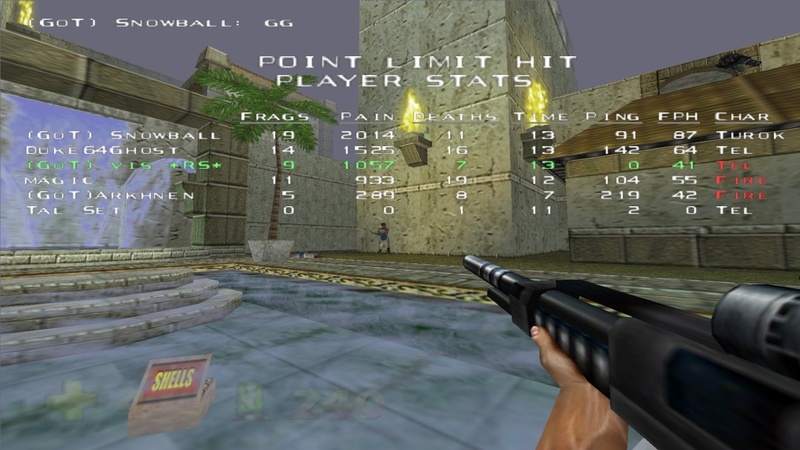 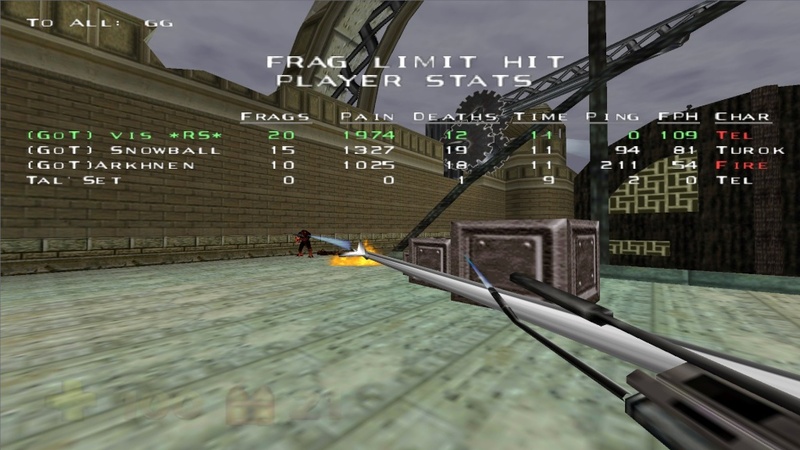 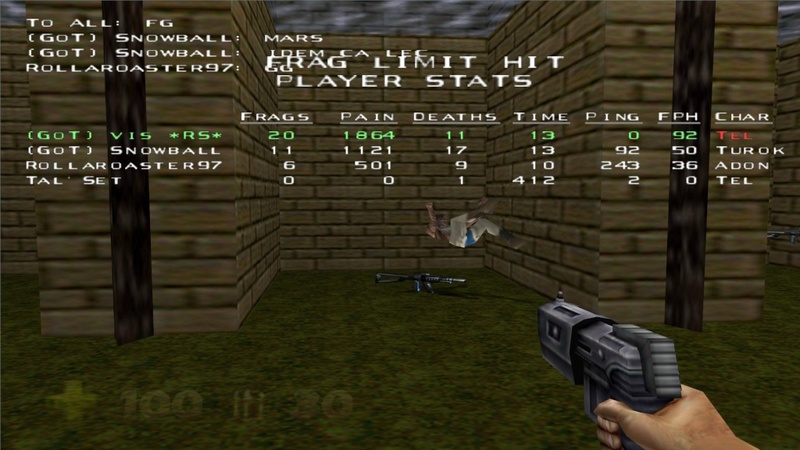 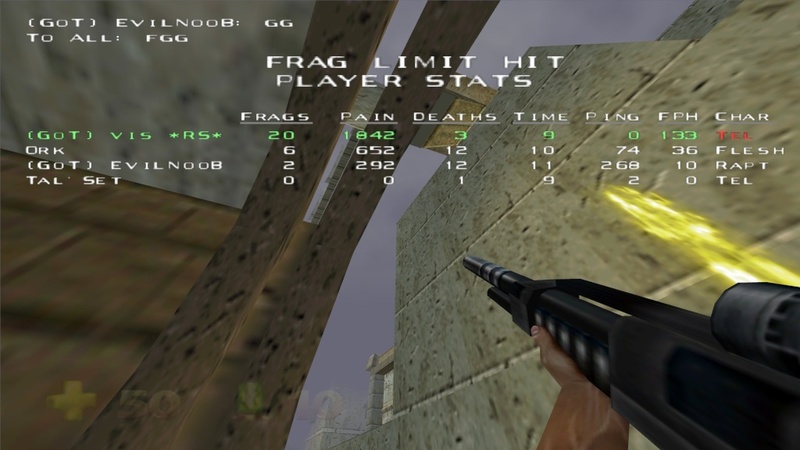 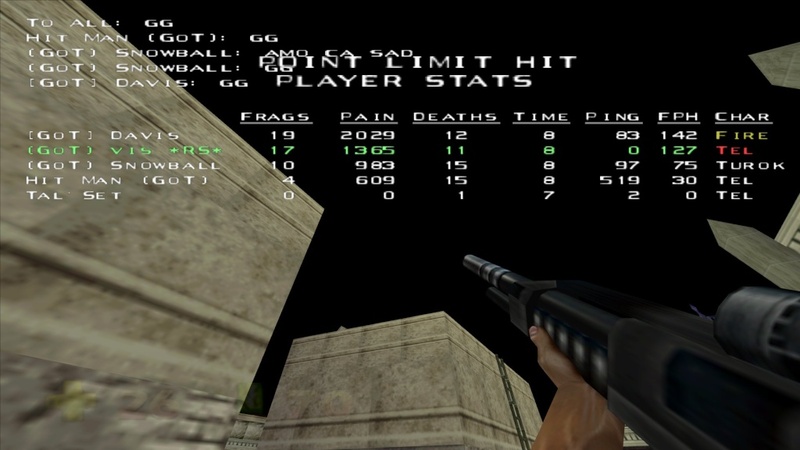 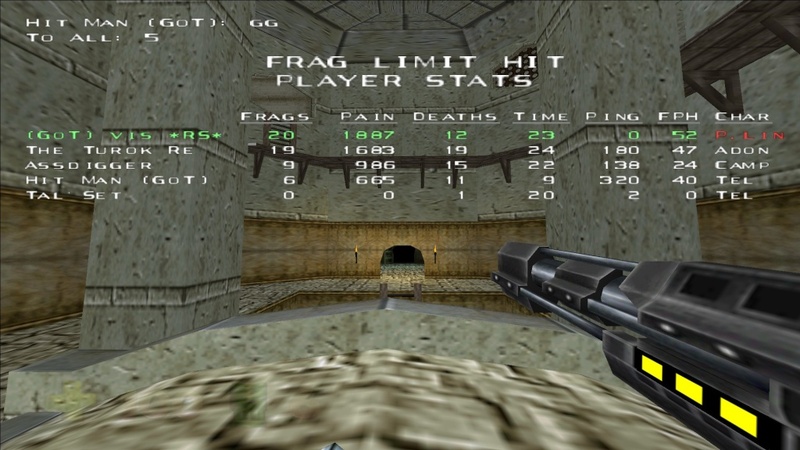 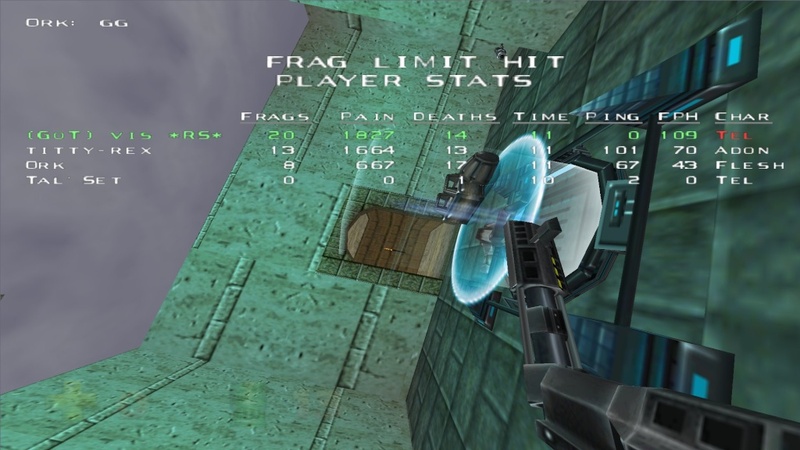 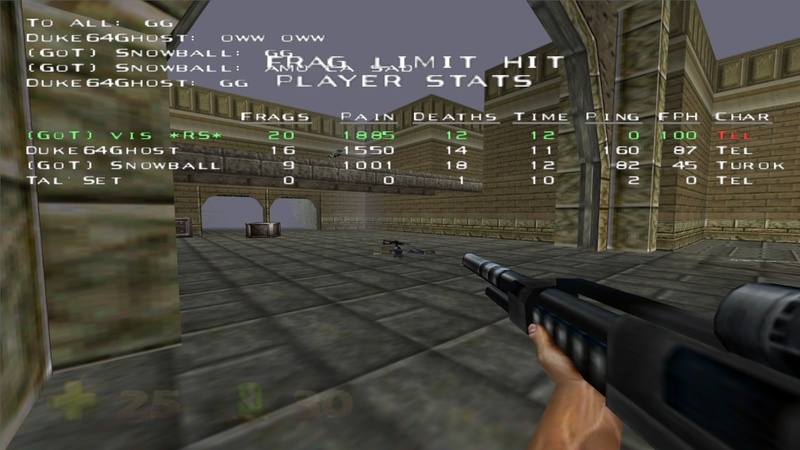 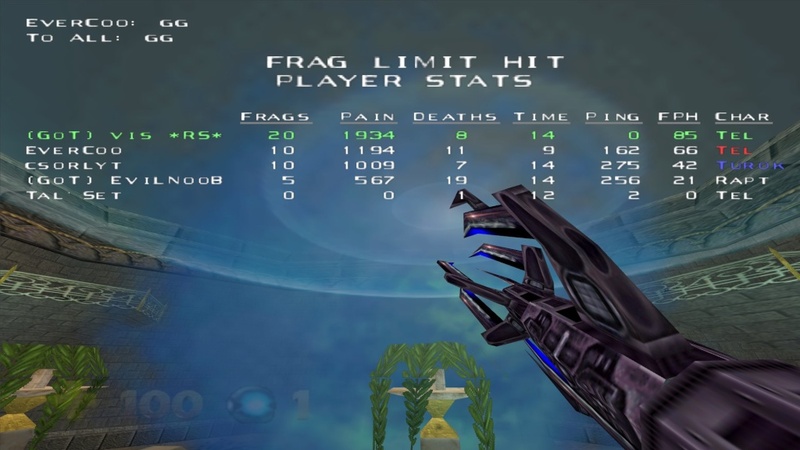 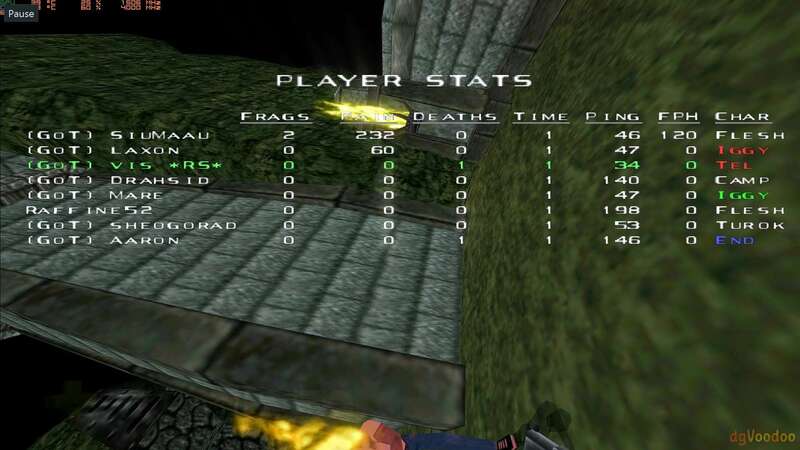 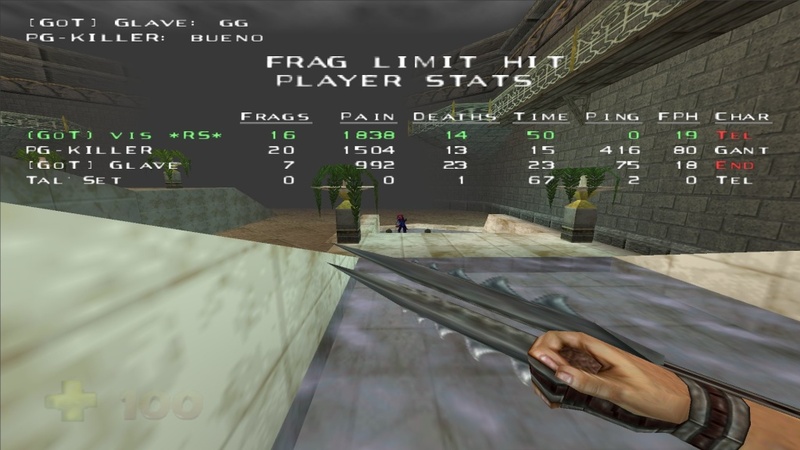 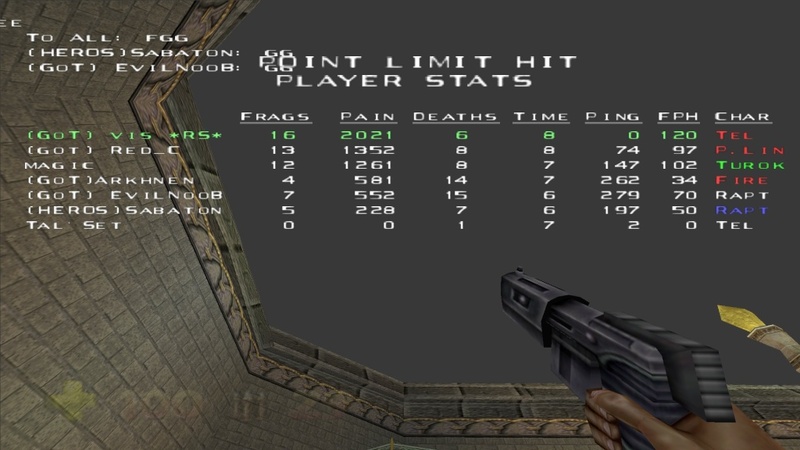 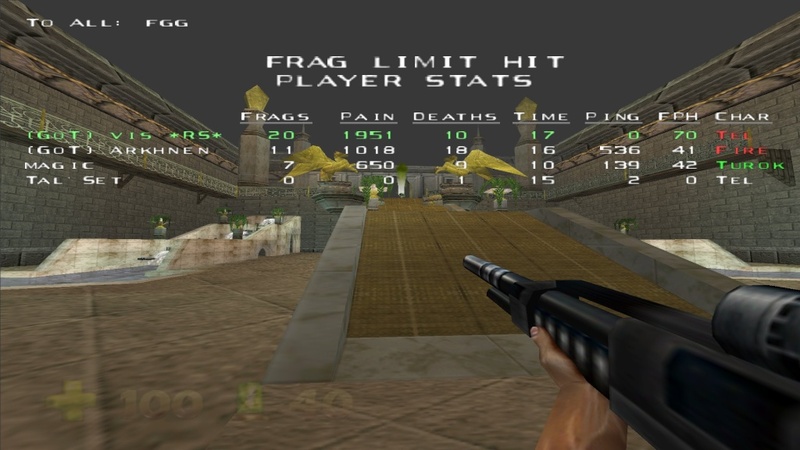 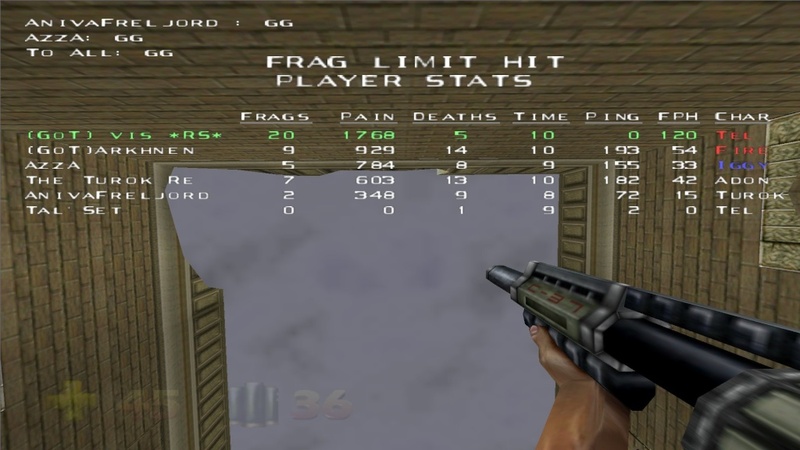 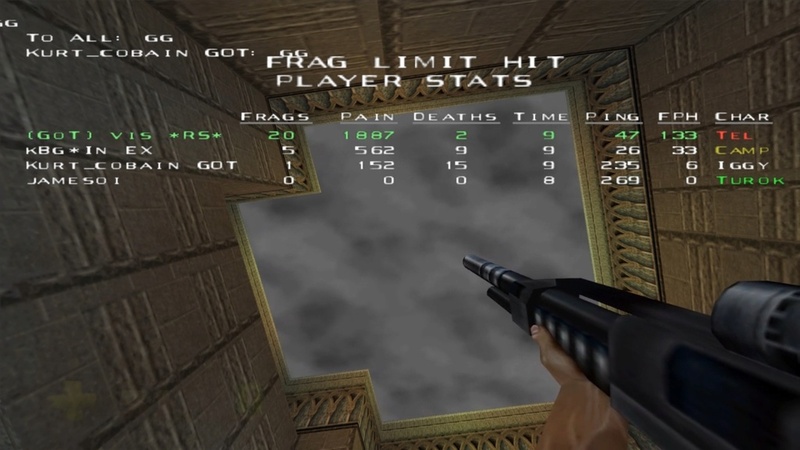 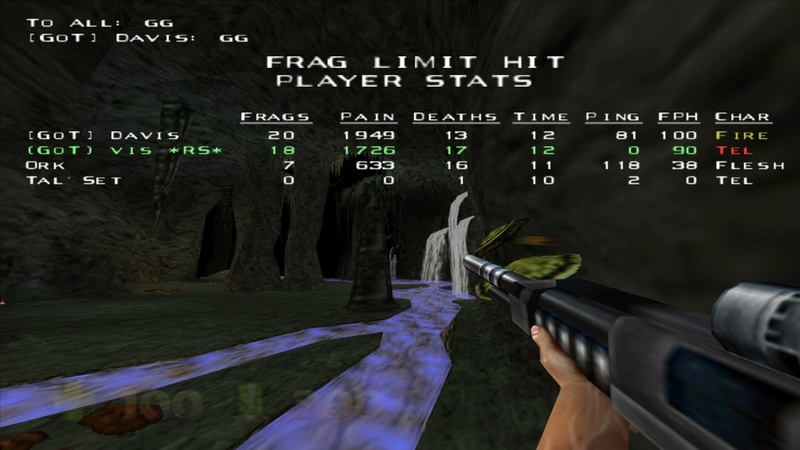 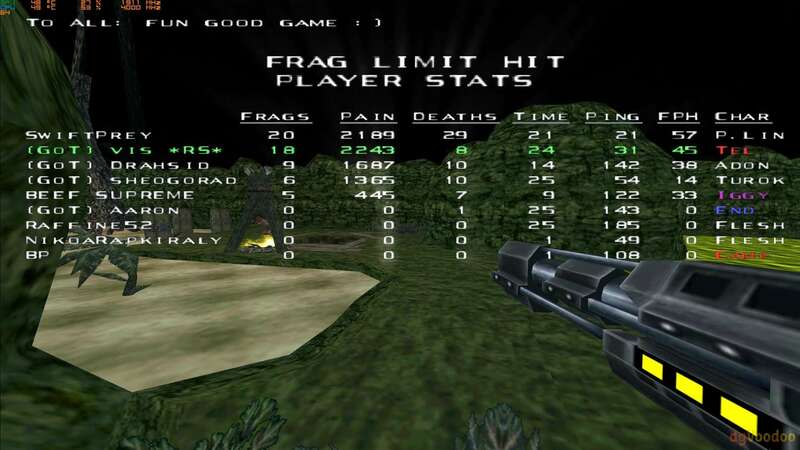 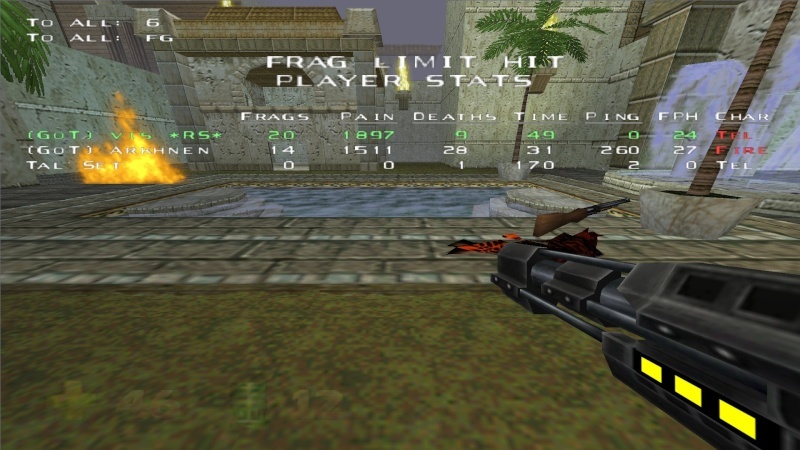 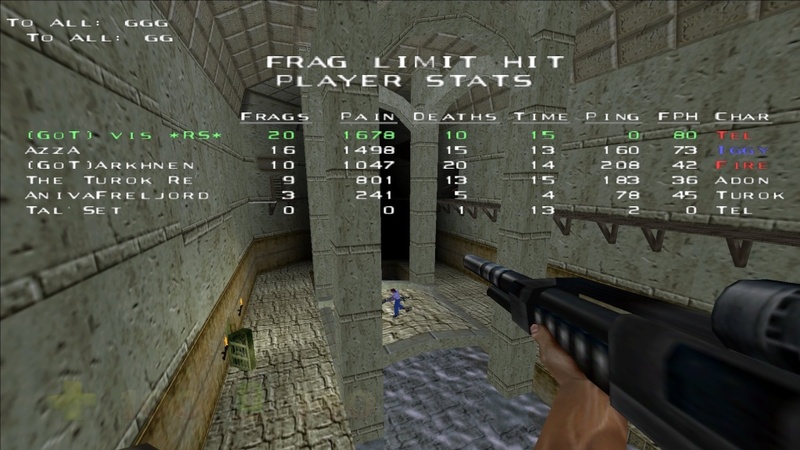 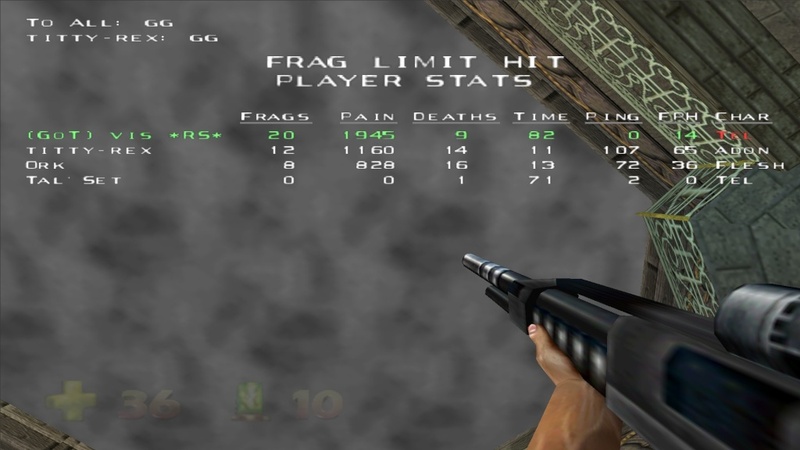 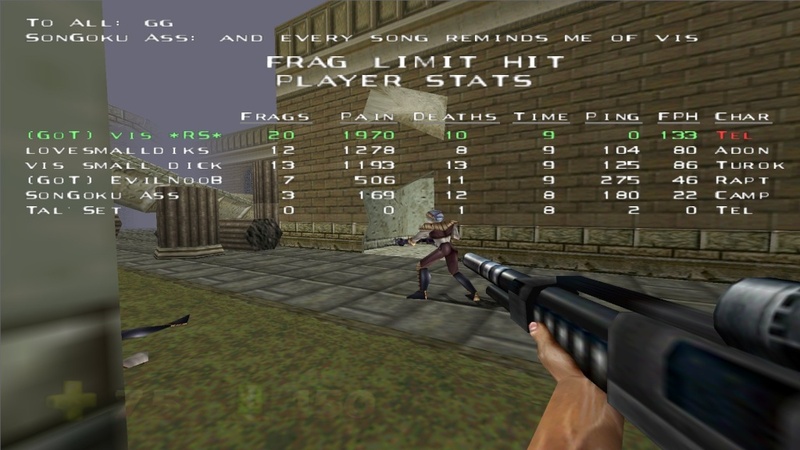 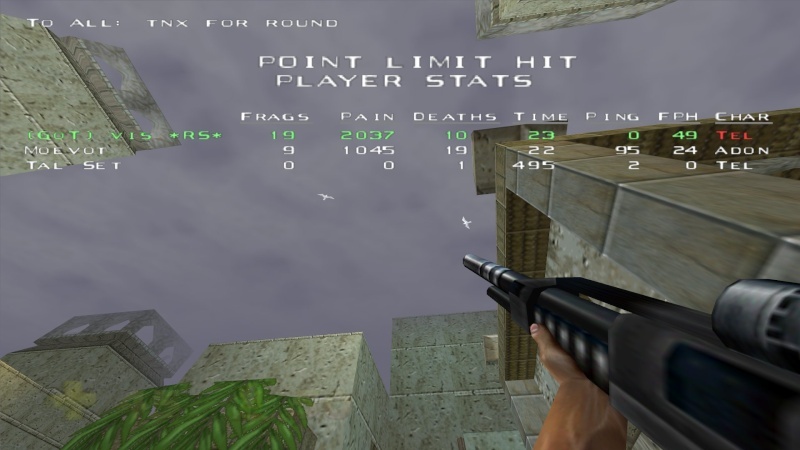 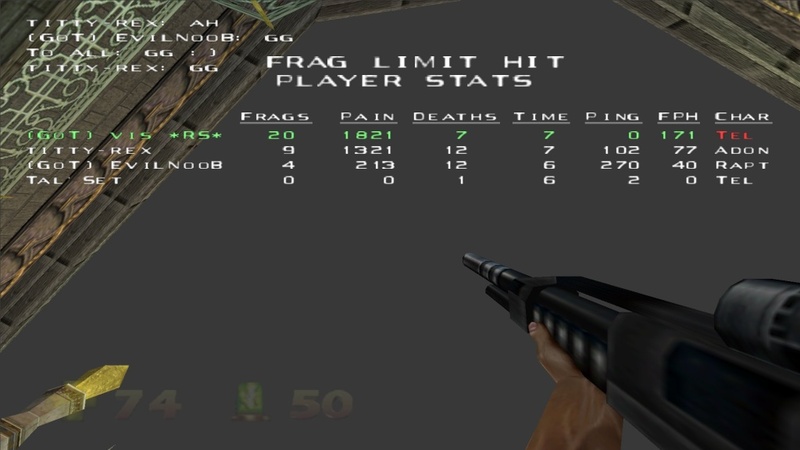 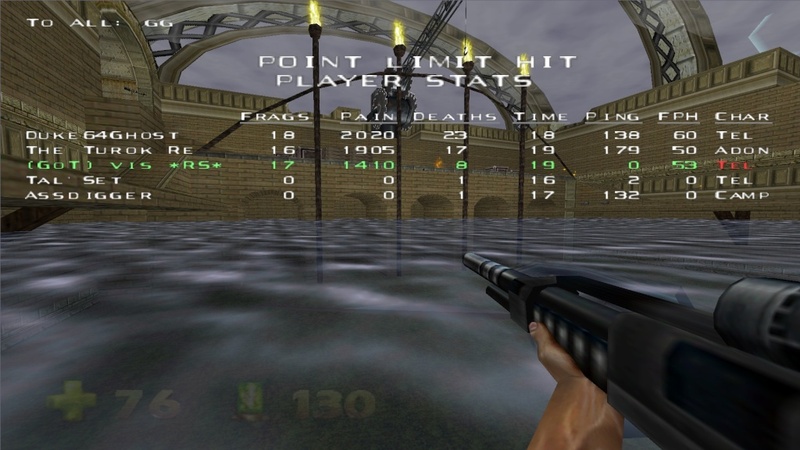 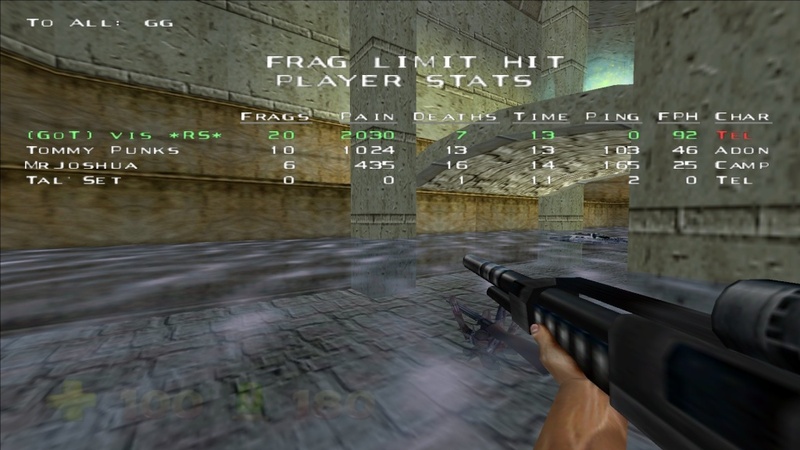 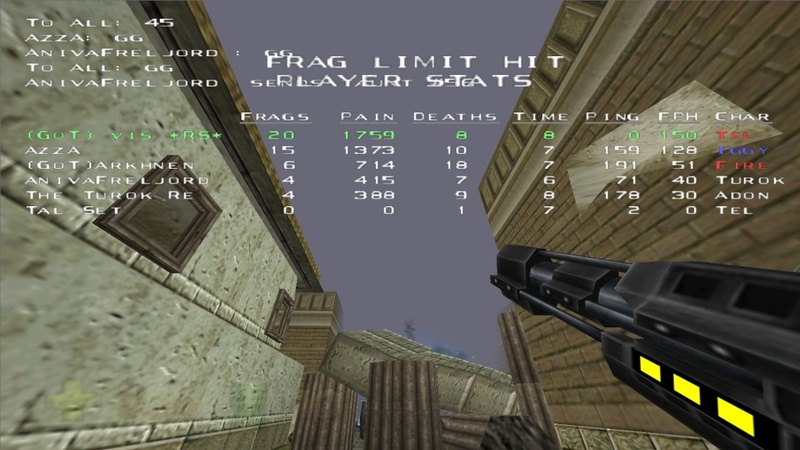 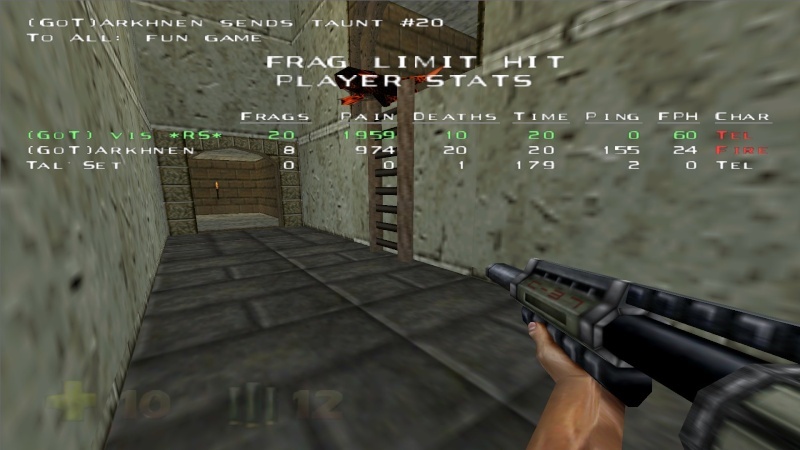 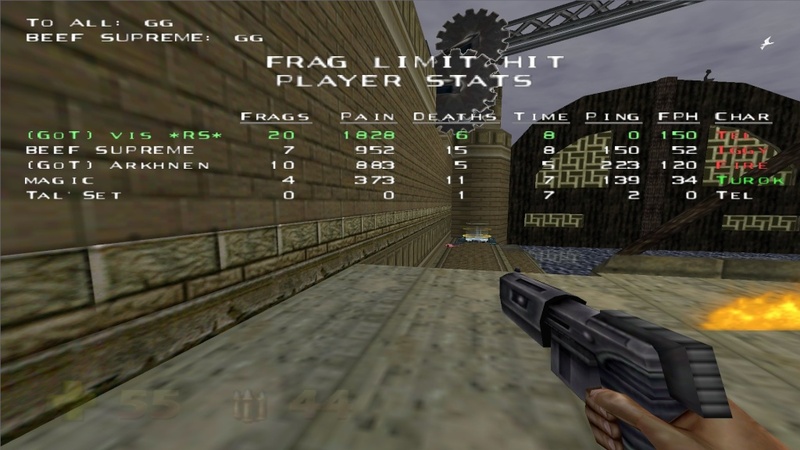 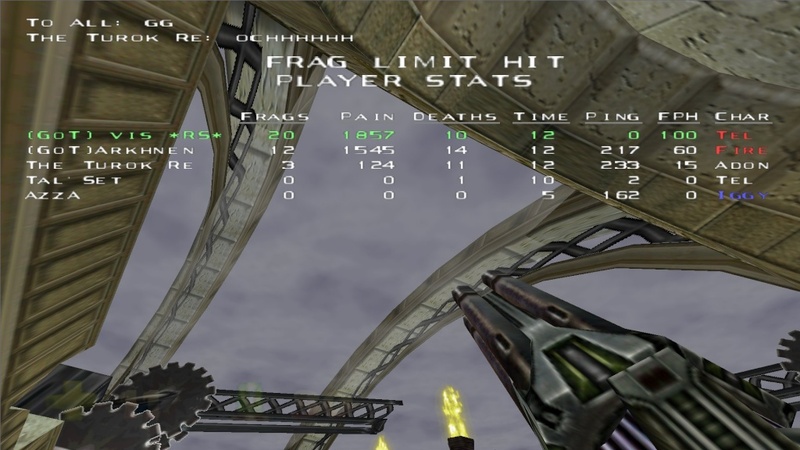 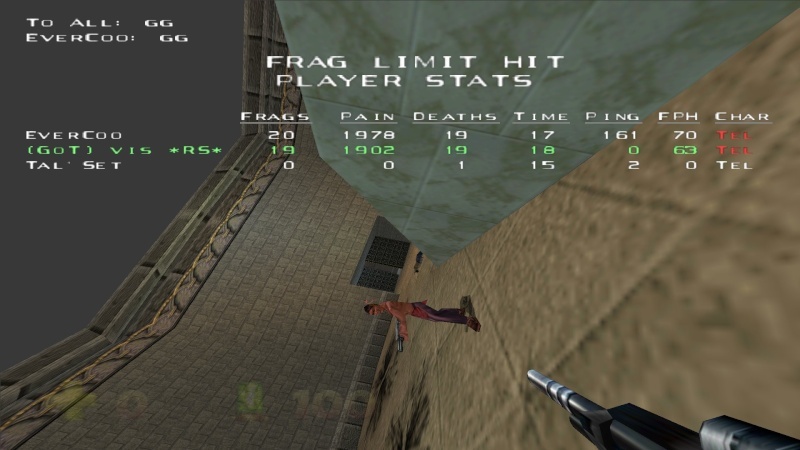 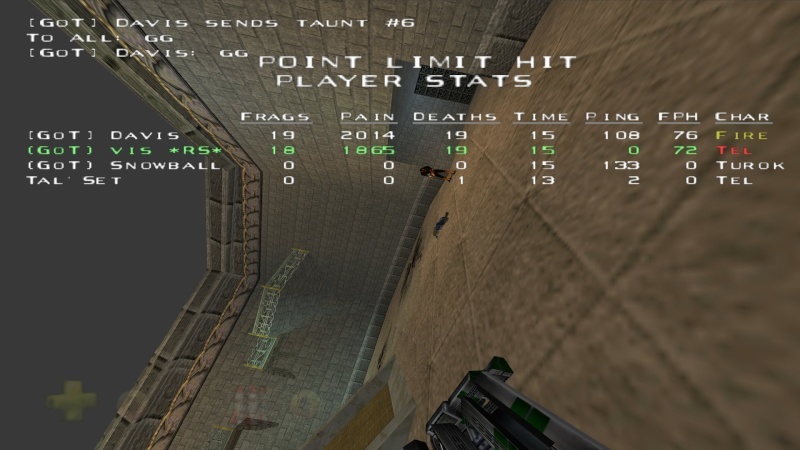 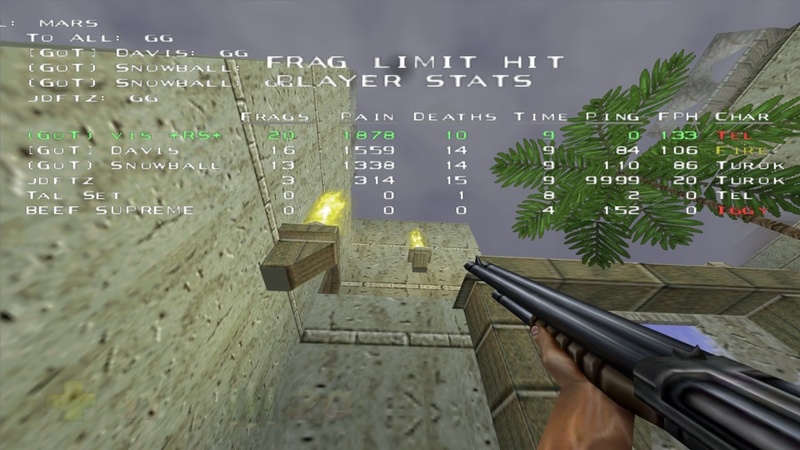 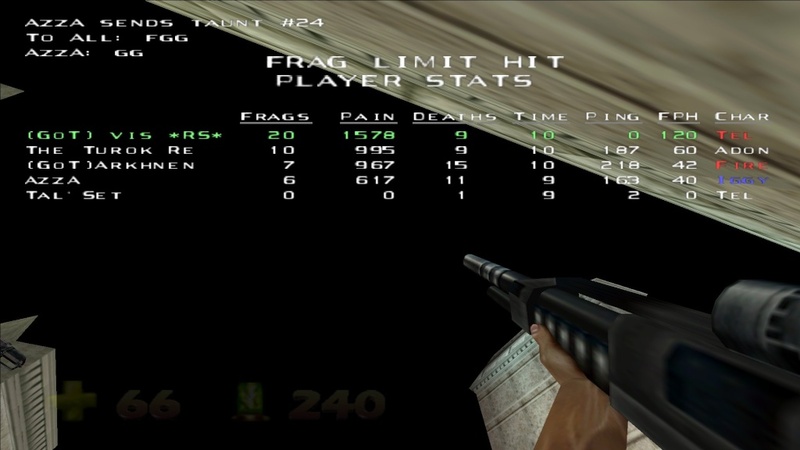 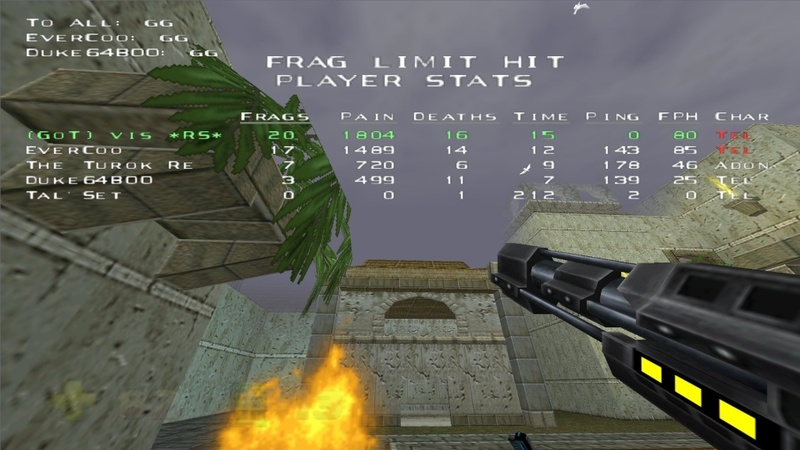 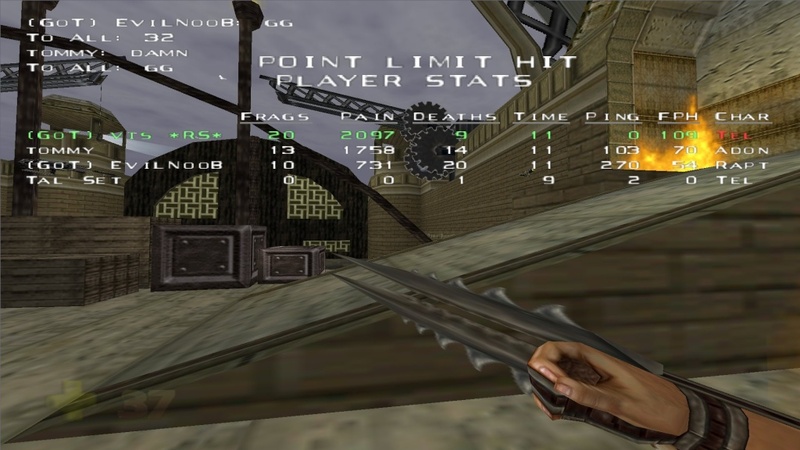 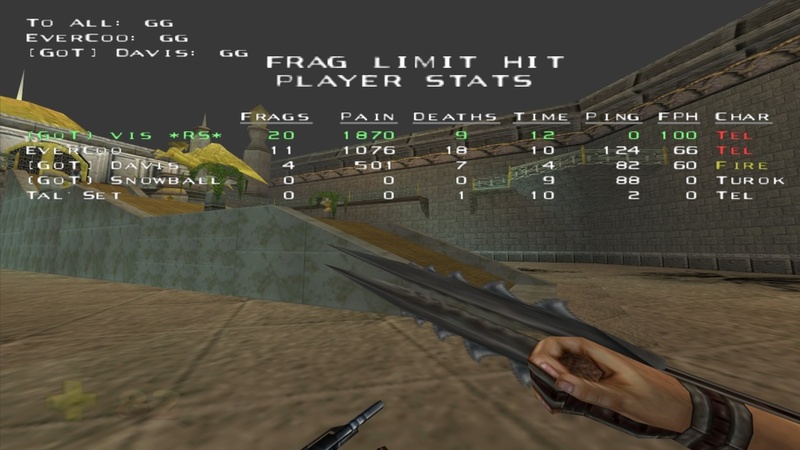 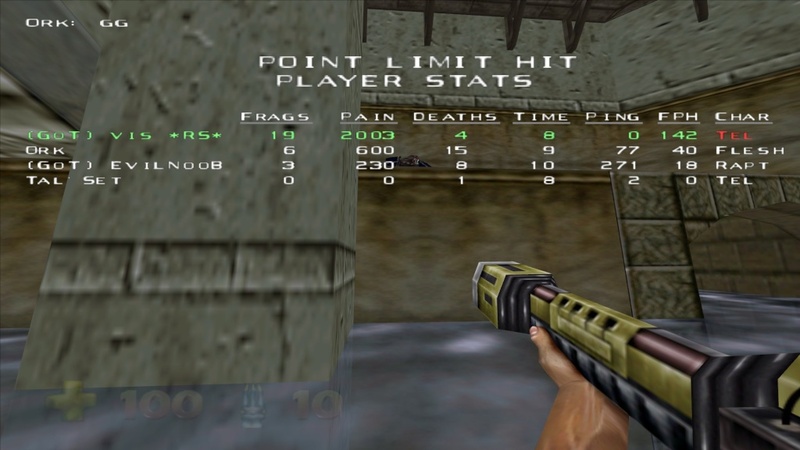 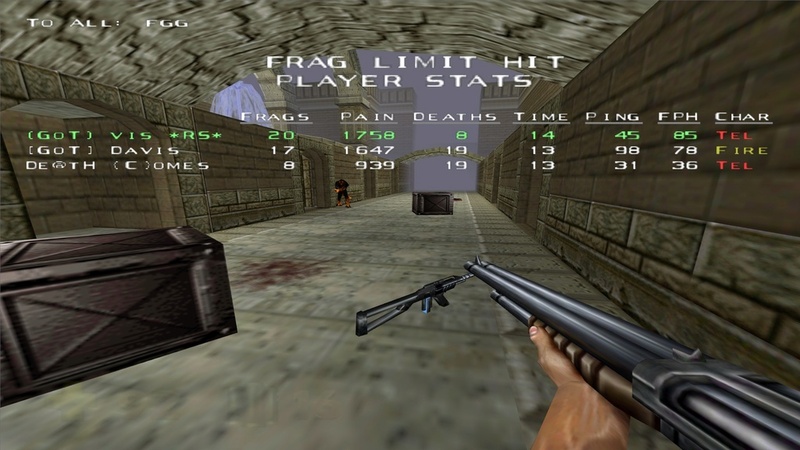 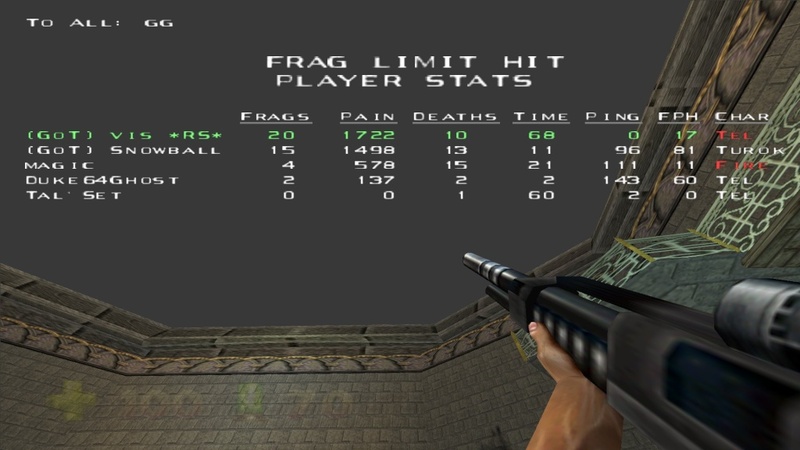 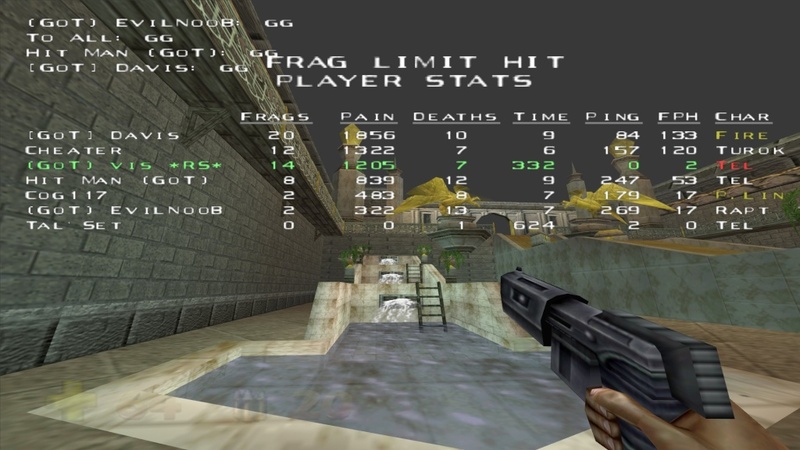 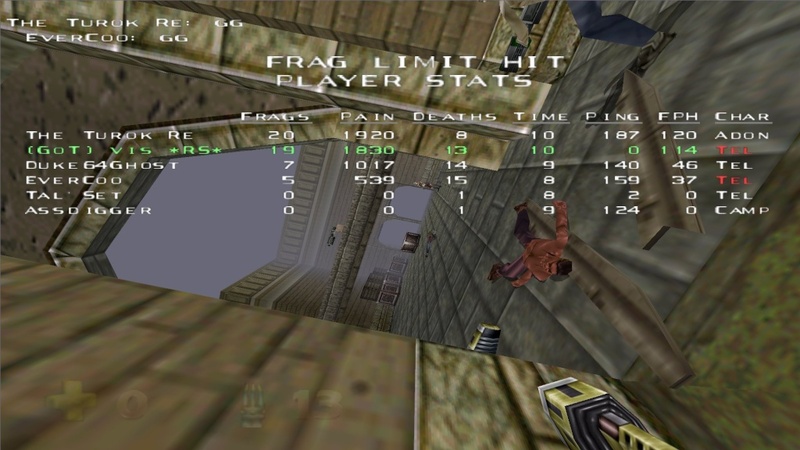 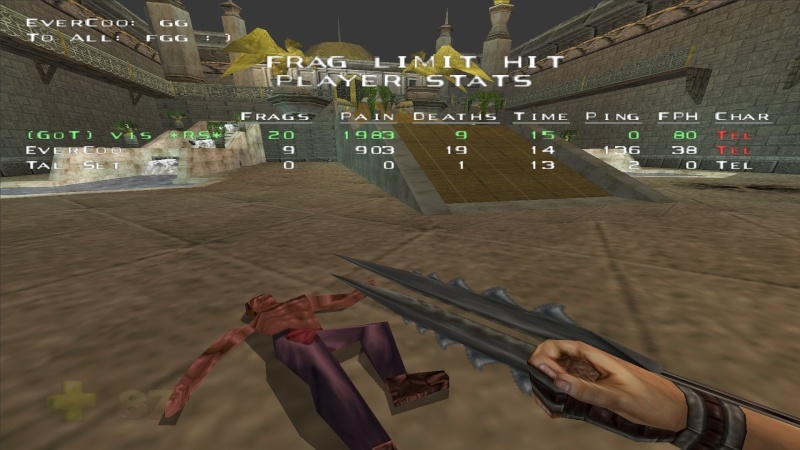 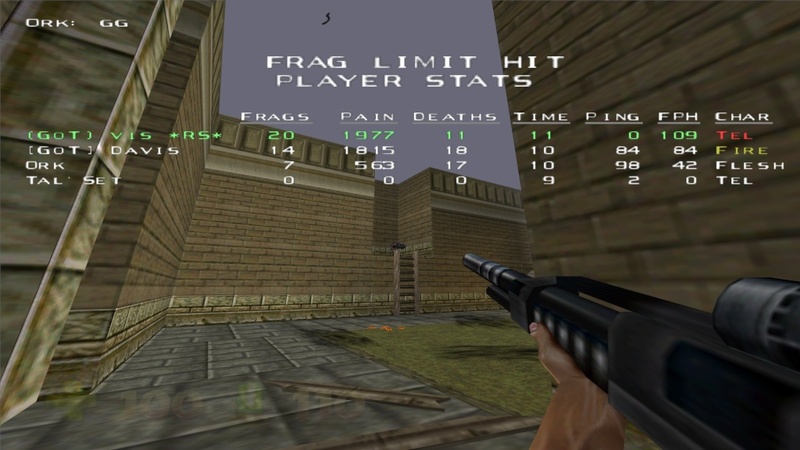 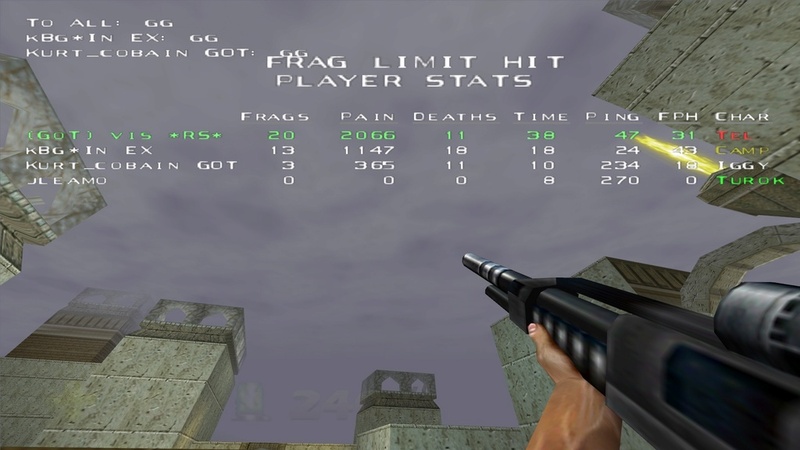 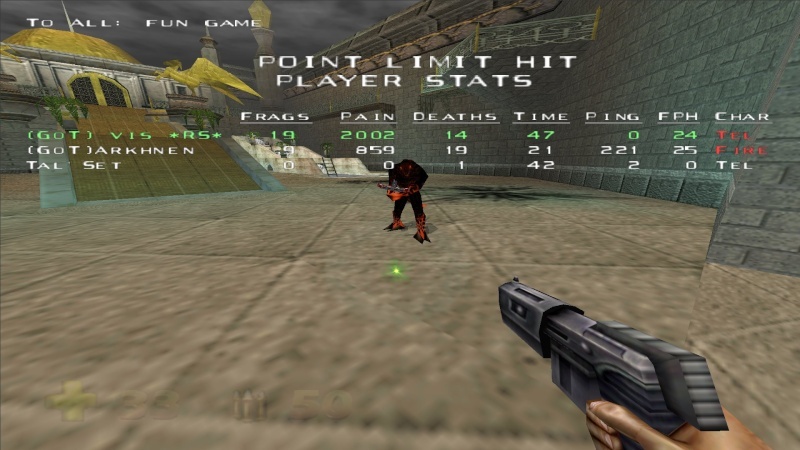 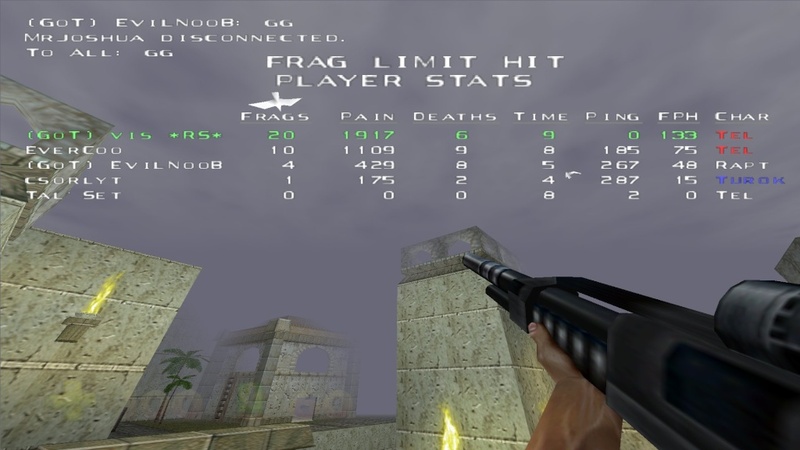 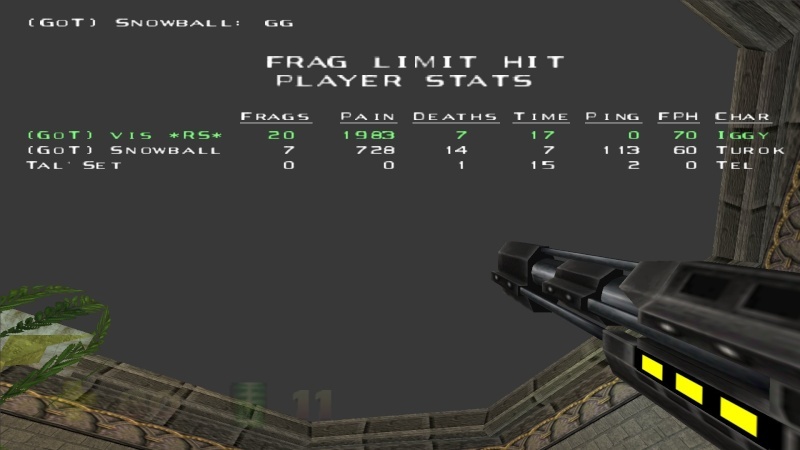 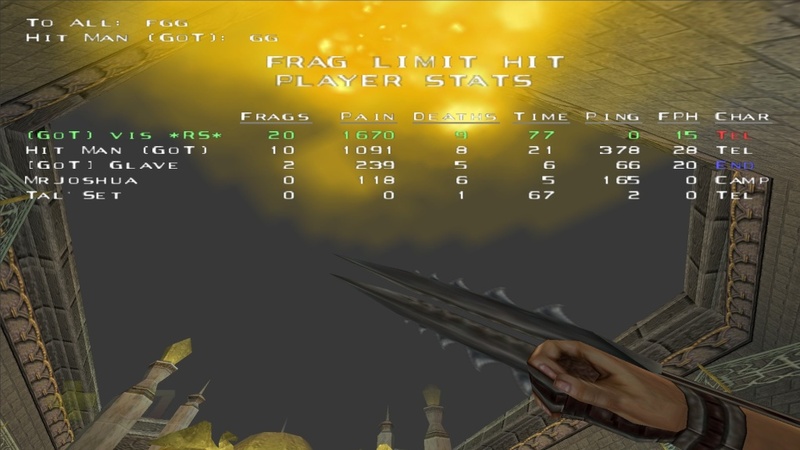 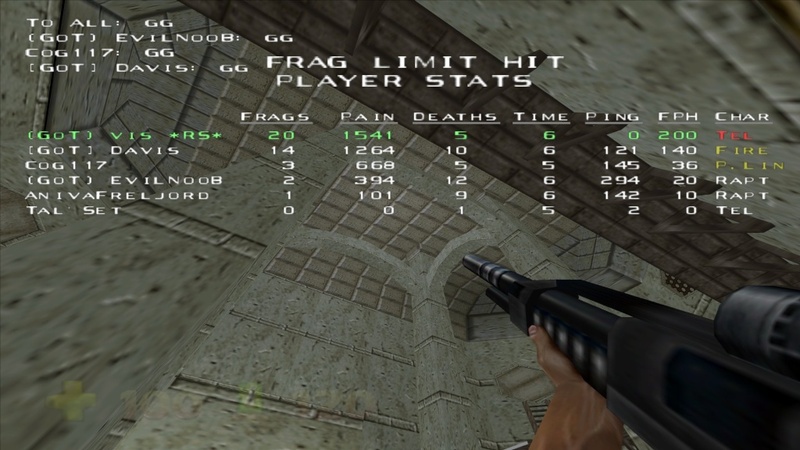 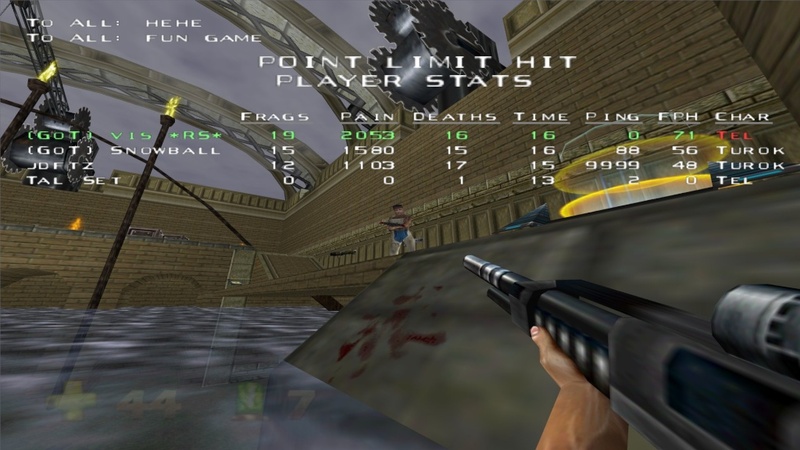 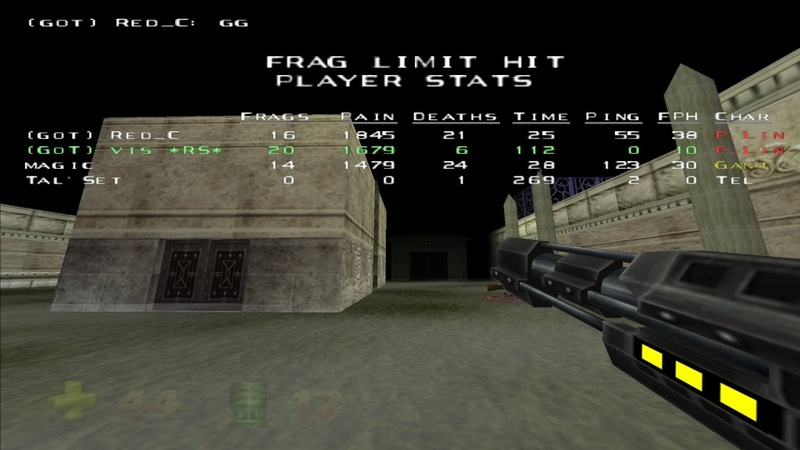 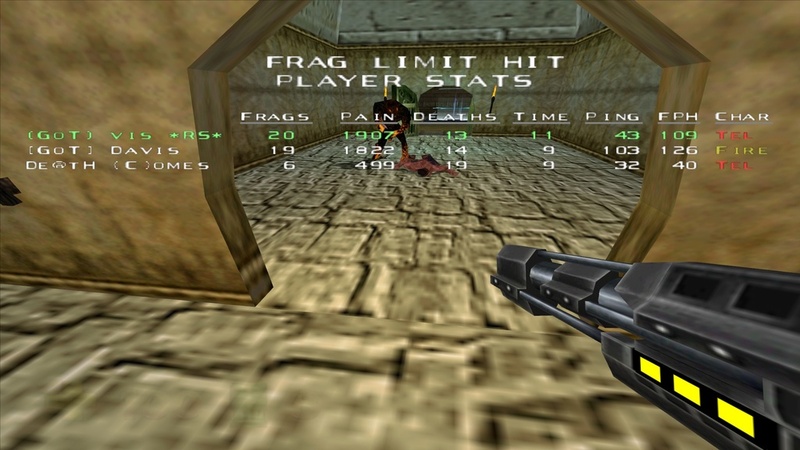 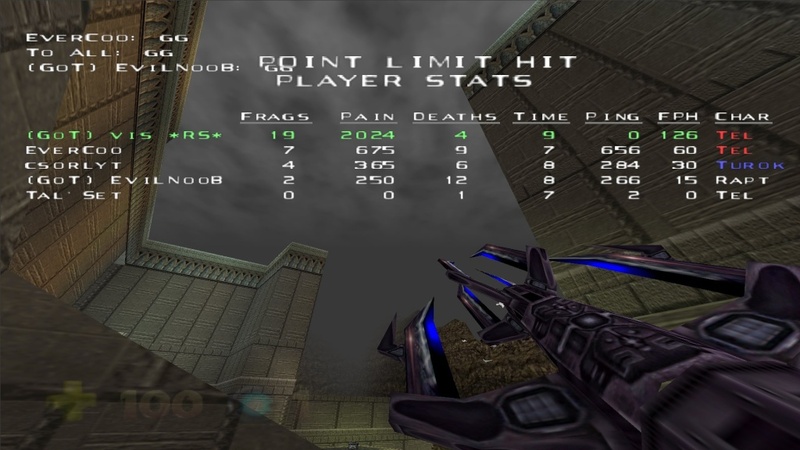 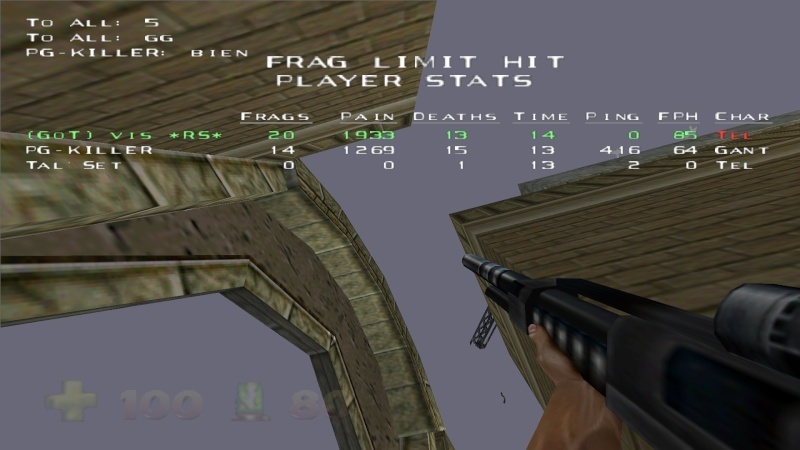 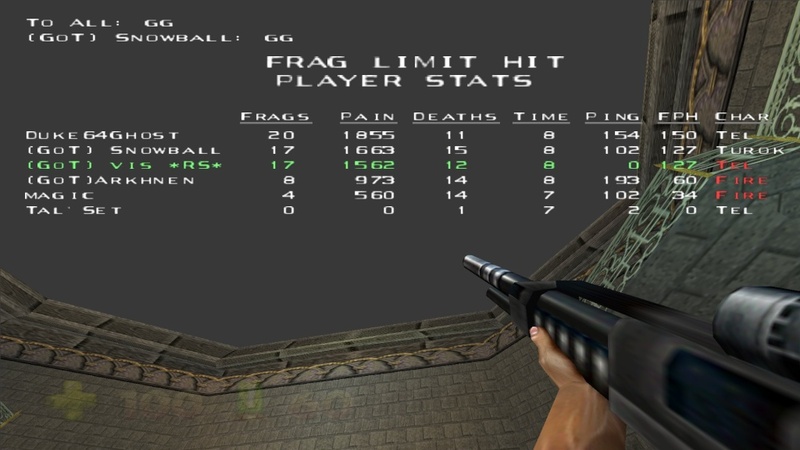 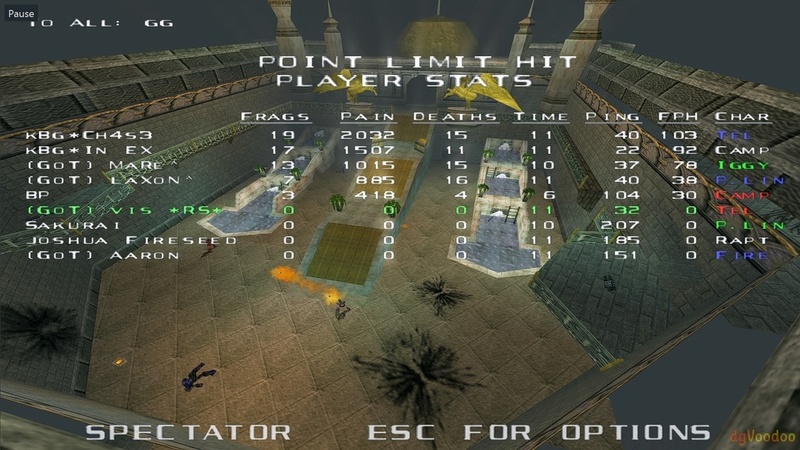 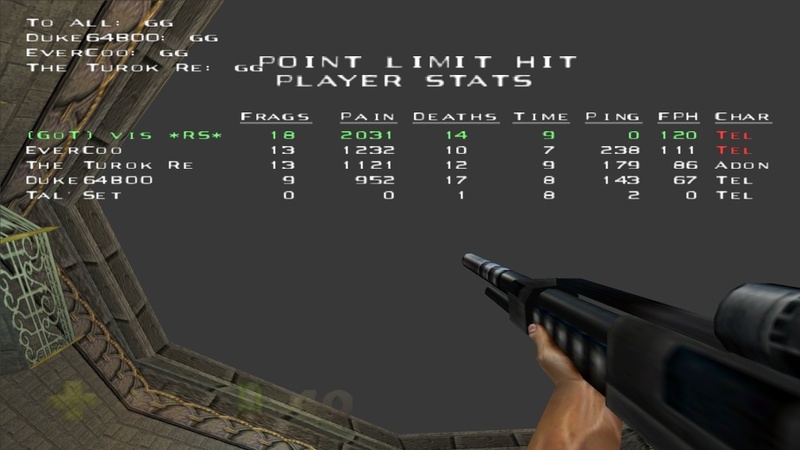 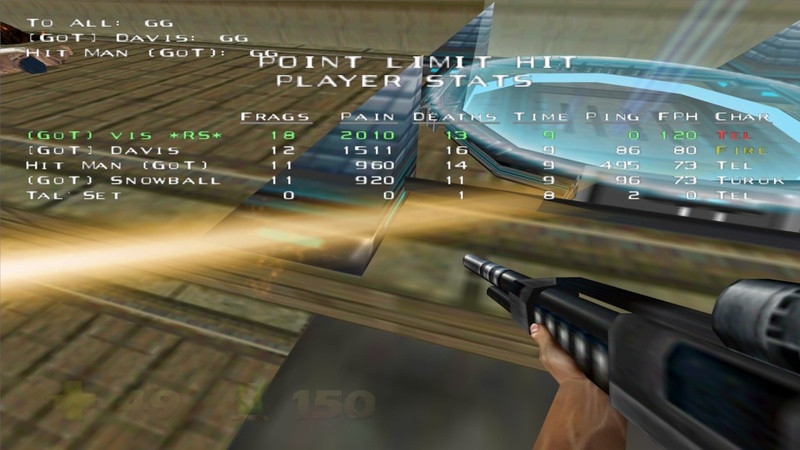 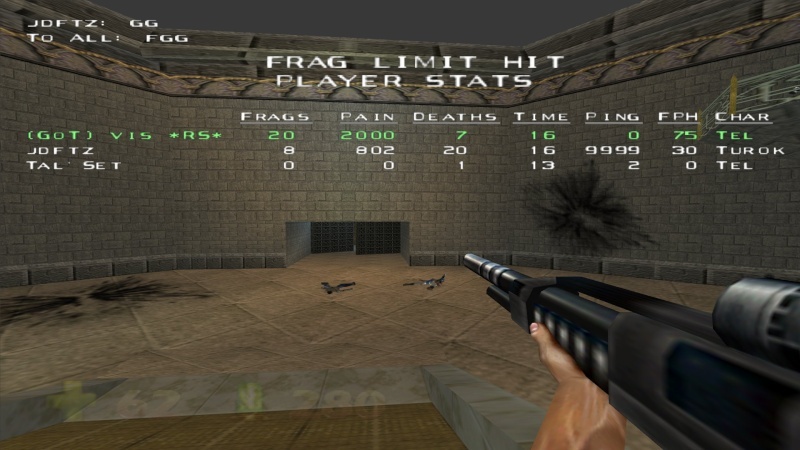 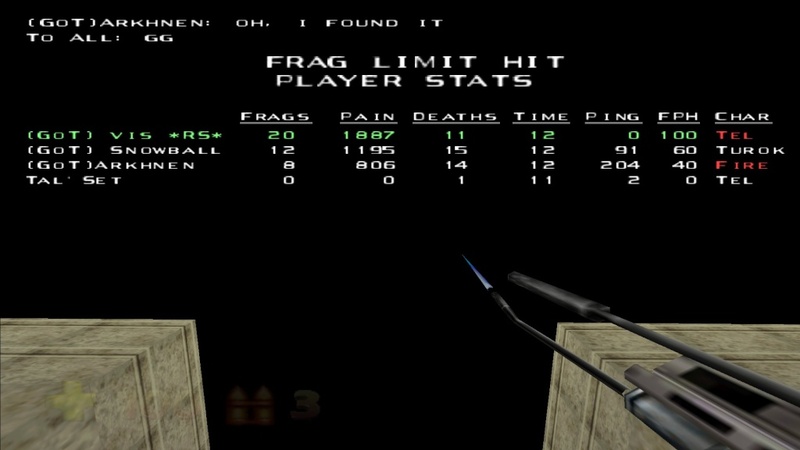 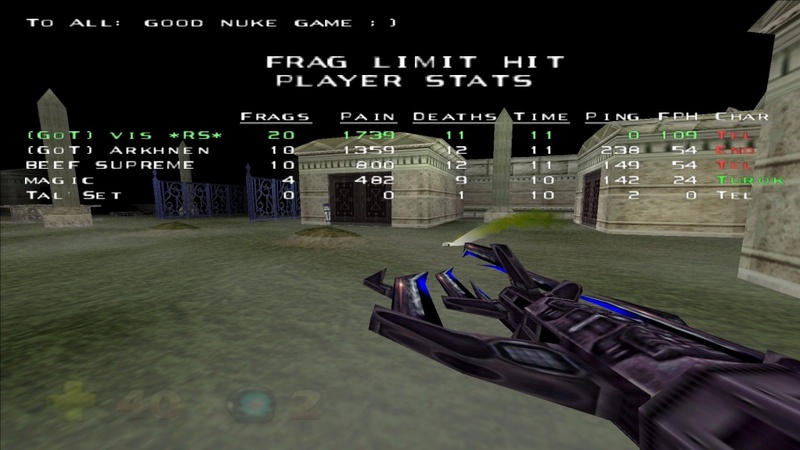 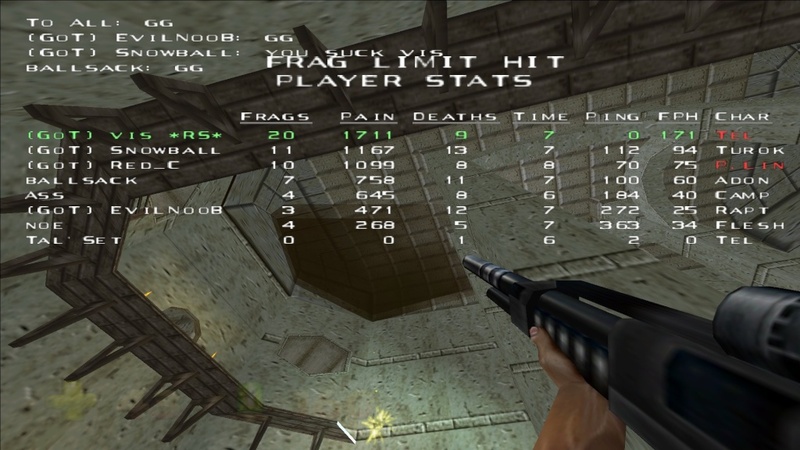 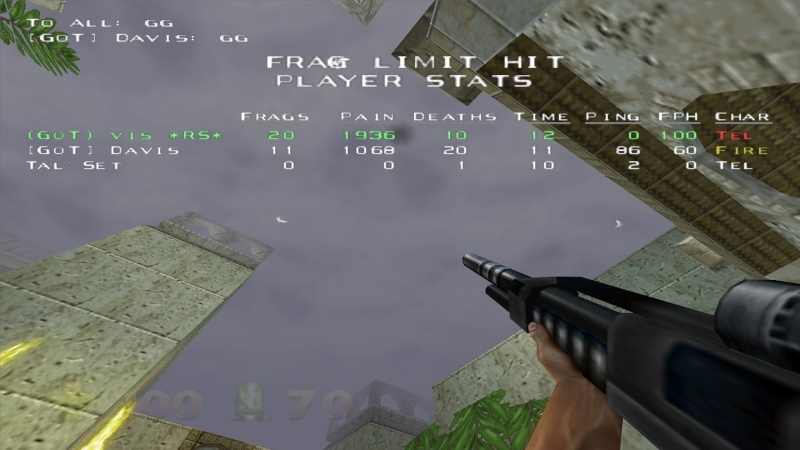 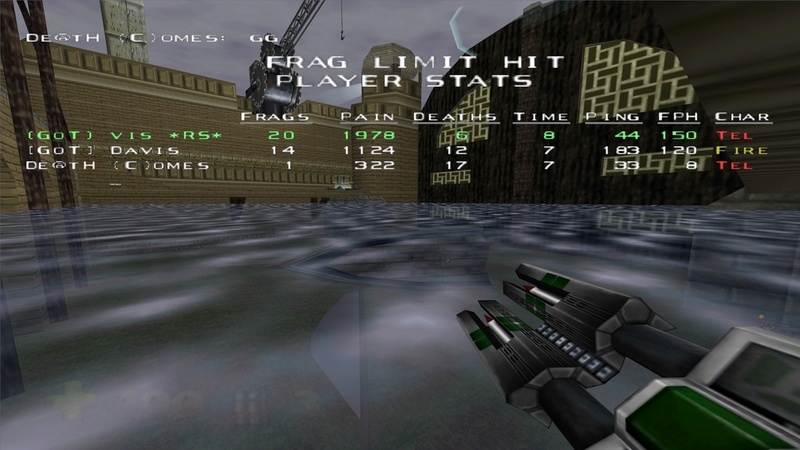 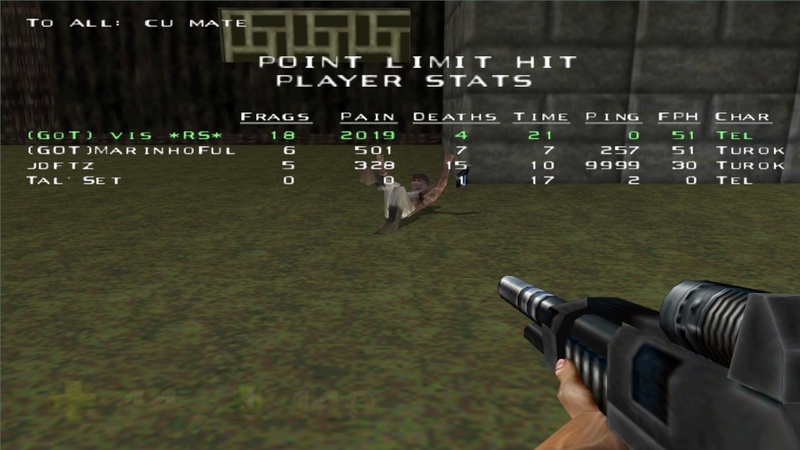 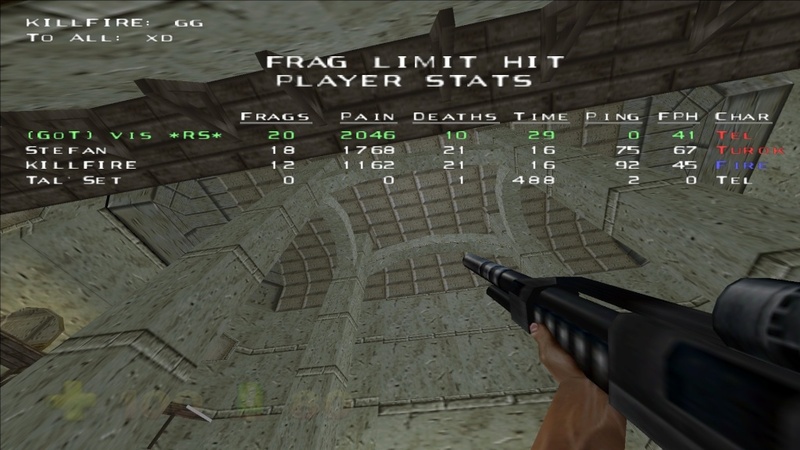 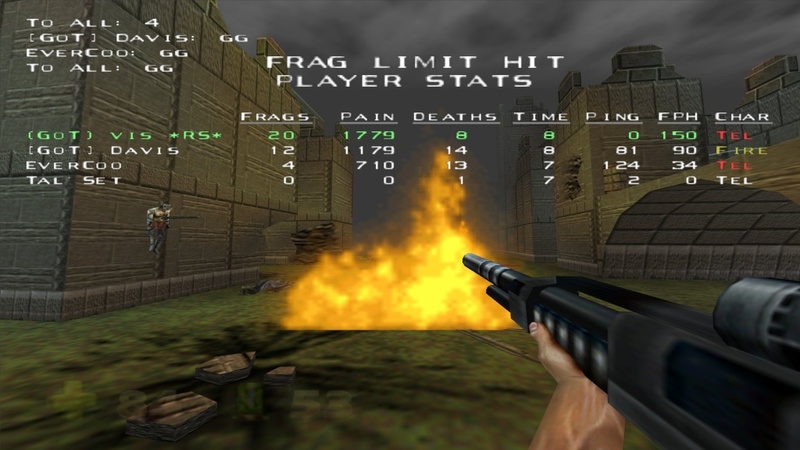 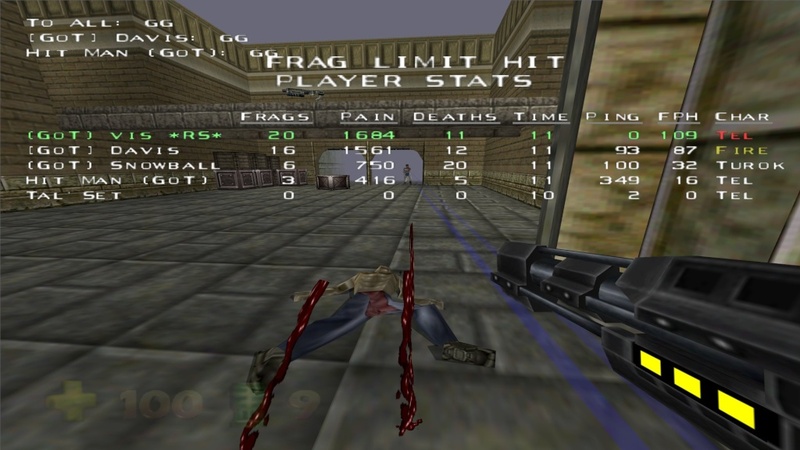 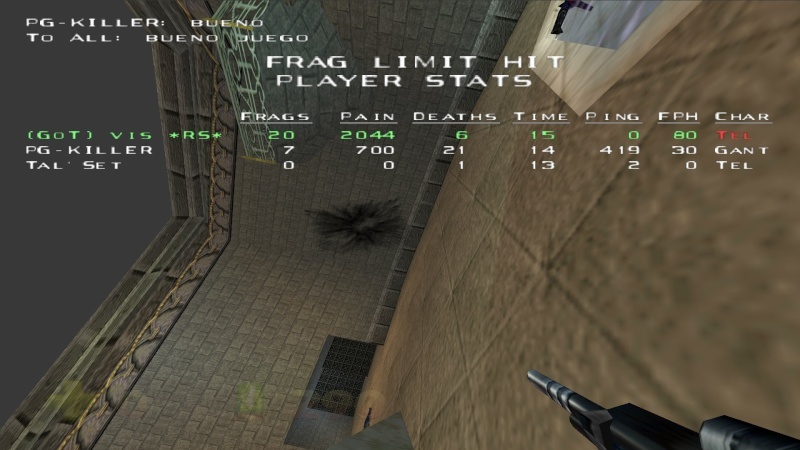 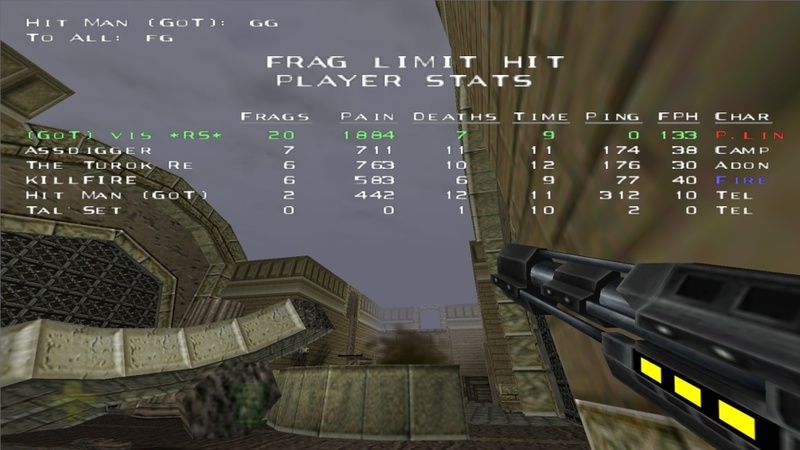 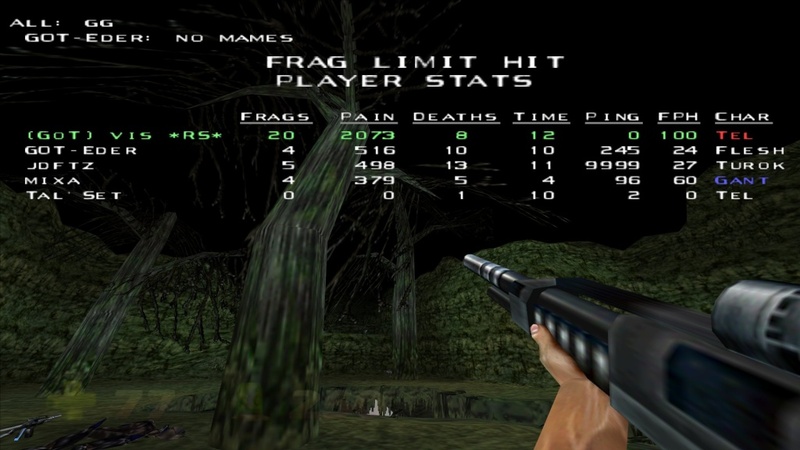 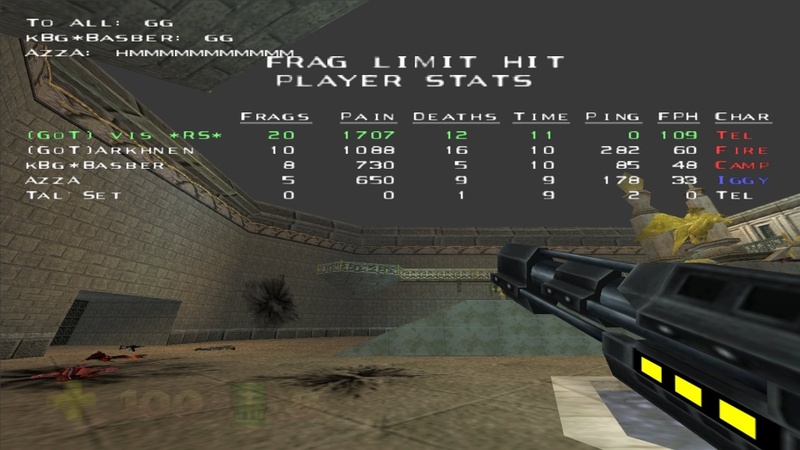 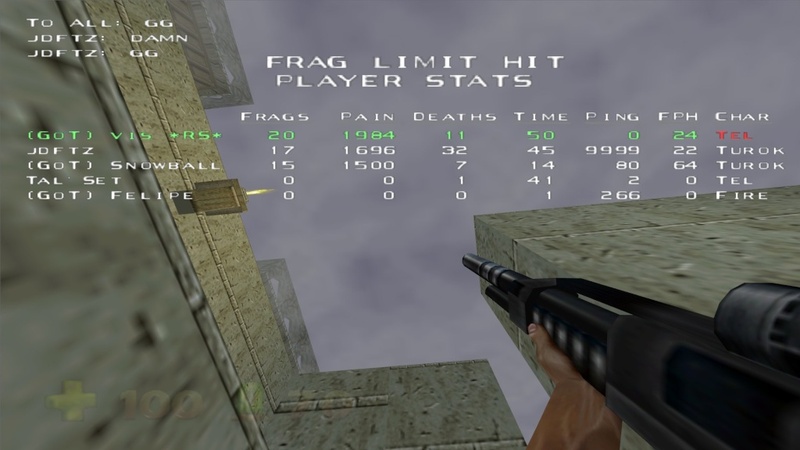 New server setup which people love, mix of N64 ver of Turok 2 rules, CTF maps, then half of dmg multiplicator... Be free to try it, by joining on server with name: N64 console style and we usually rok from 8 pm, euro zone time! 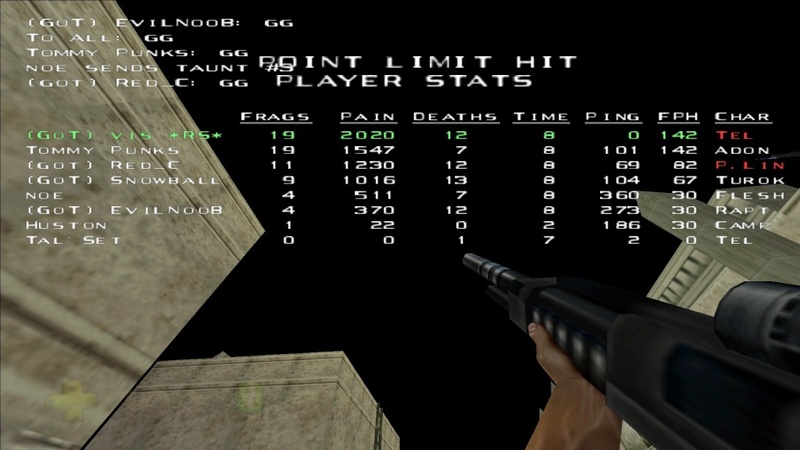 Big T2 mp party, some day ago!